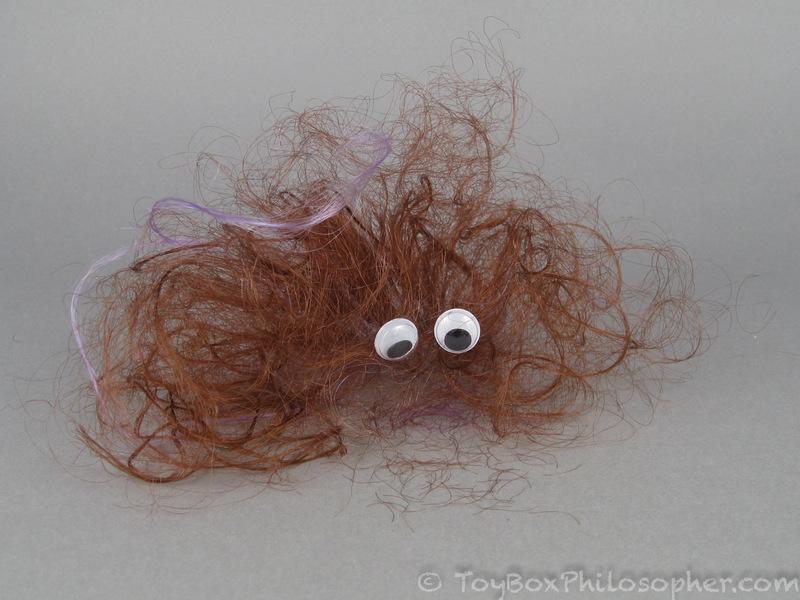 Since Halloween is rapidly approaching, I thought it would be fun to look at some monster dolls. As I hunted around for an appropriately spooky doll to review, I was struck by how many lines are still imitating the spindly look or supernatural theme of the mega-popular Monster High characters. 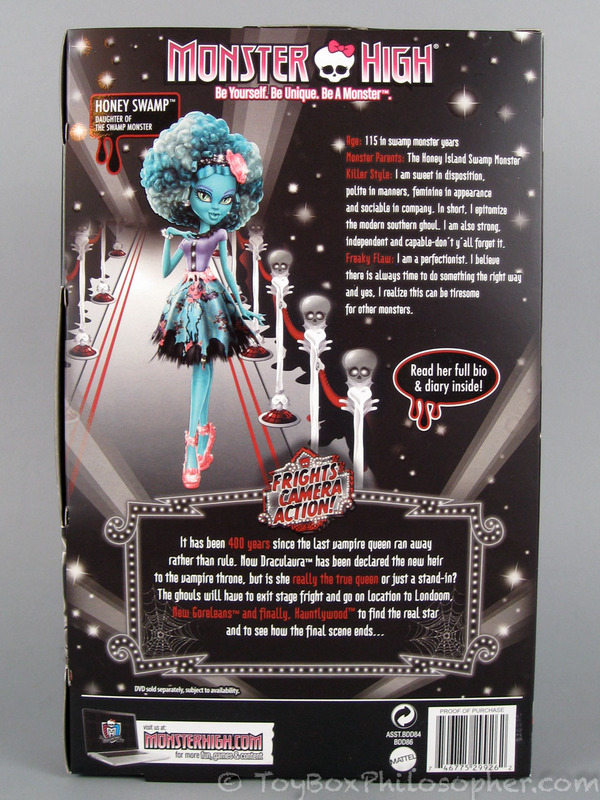 There are the Mystixx zombie and vampire dolls, the Zombie Girls, Midnight Magic Day and Night dolls, the Once Upon a Zombie line, Mattel's own Ever After High dolls...and even a bunch of shameless bootlegs of actual Monster High dolls. 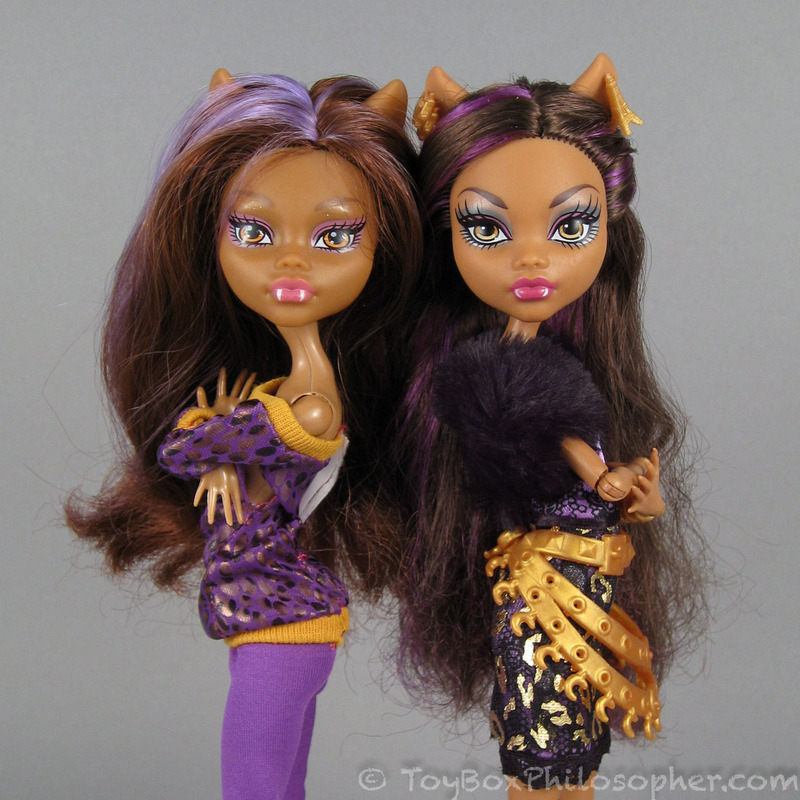 Khaki Girl knockoff doll (left) and Monster High Scaris Clawdeen Wolf (right). I have no idea where the name of this line came from. I tried to translate "khaki" into Chinese and then back again to see if there might have been a translation error, but the only different interpretation I could find was (predictably) "tan." So maybe it's supposed to be Tan Girl, like the West coast has the sunshine and the girls all get so tanned? Hm. I mean, there's also a slang expression, "khaki monster," but that label has a pretty straight forward meaning: someone who is obsessed with wearing khaki pants and hates jeans. 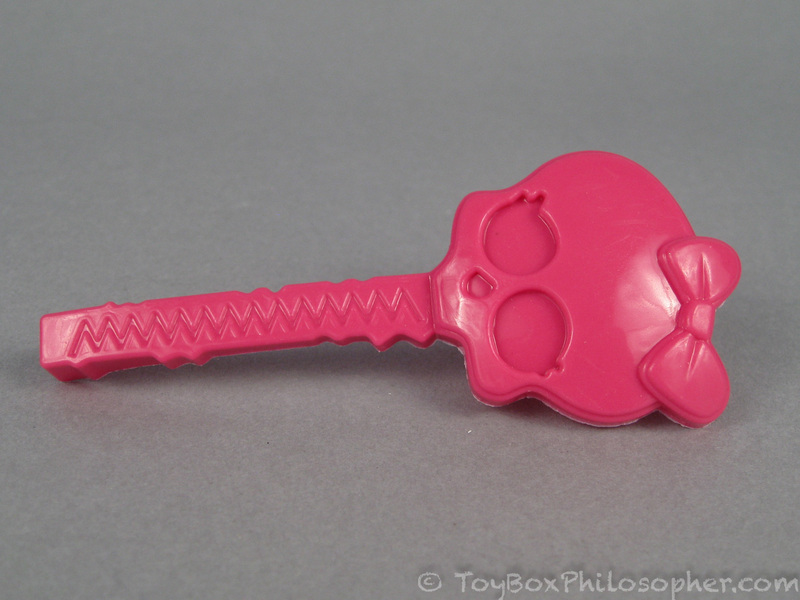 That doesn't really fit the Monster High vibe, if you ask me. 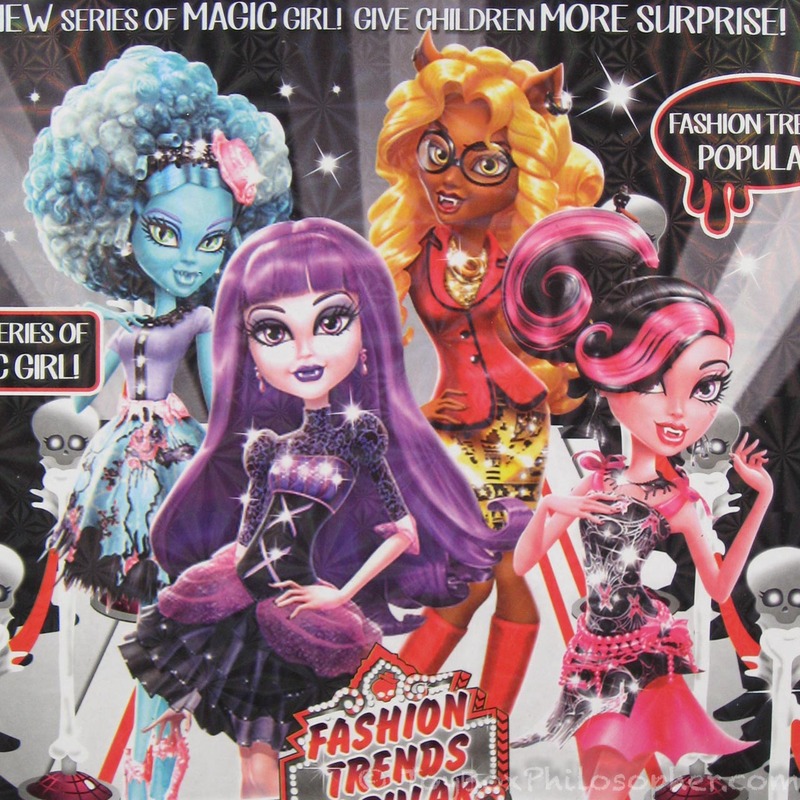 In fact, it's almost the opposite of the Monster High image...so maybe there's some clever irony in this title? Seems unlikely. The auction title for this doll didn't mention anything about Khaki Girls, though, or khaki pants for that matter. 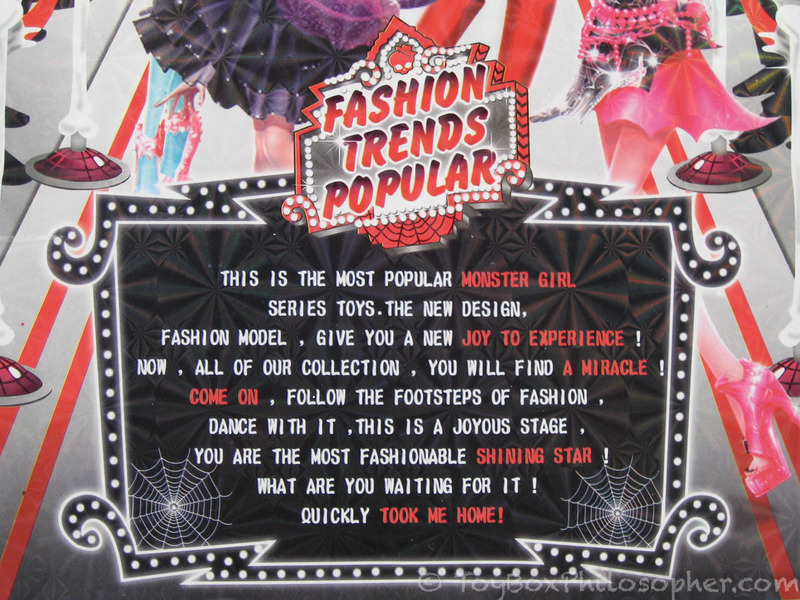 The actual title was, "Free Shipping Monster High 14" WISHES Count Fabulous DOLL IN ORIGINAL BOX." Note that it doesn't say Monster High look-a-like...just Monster High. It also says Count Fabulous, which I though was a pretty awesome (and original) title until I remembered that it's the name of Draculaura's pet bat. Sigh. 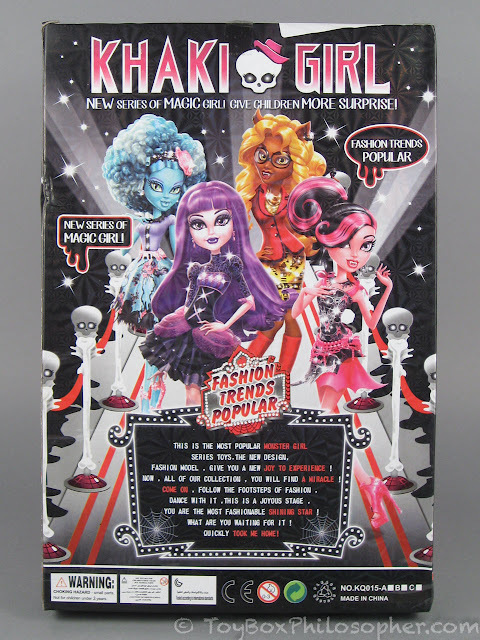 So anyway, this advertising makes me think that the Khaki Girl title is less about creating a clever new brand name and more about just writing something other than Monster High on the box so as not to get sued. Frights, Camera, Action! Elissabat's box (left) and Khaki Girl knockoff box (right). Although the words have been carefully changed, the graphics are almost all the same, including the picture of Elissabat in the lower right hand corner. First of all, notice that the doll does not have purple hair--just a few purple streaks. 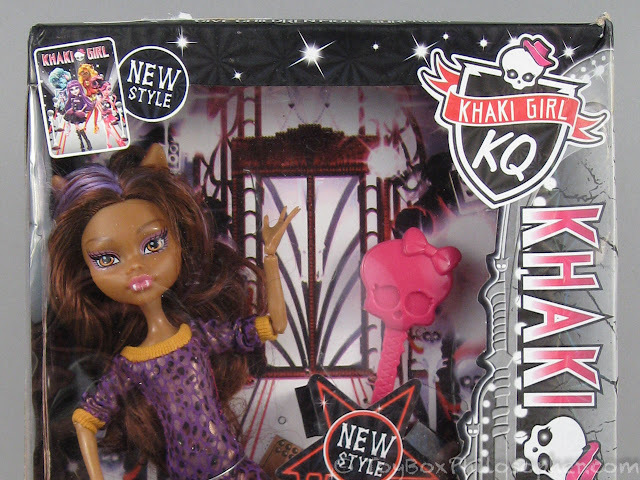 Also, in the upper right hand corner, the Monster High shield is replaced by a Khaki Girl shield...and Khaki Girl is abbreviated "KQ," which makes absolutely no sense and is probably a typo. The design of the shield has also been changed quite a bit, and the skull has been given a pink hat instead of a bow. The backdrop graphic that's visible at the top of the box looks the same as the Frights, Camera, Action! backdrop. 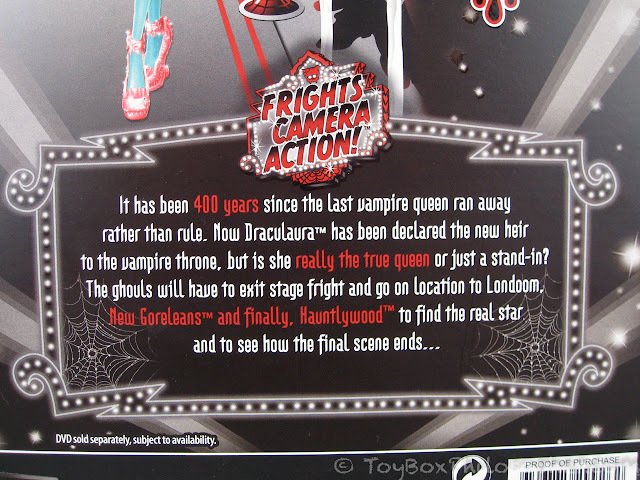 The bottom of the Khaki Girl box has a picture of Elissabat and the Frights, Camera, Action! 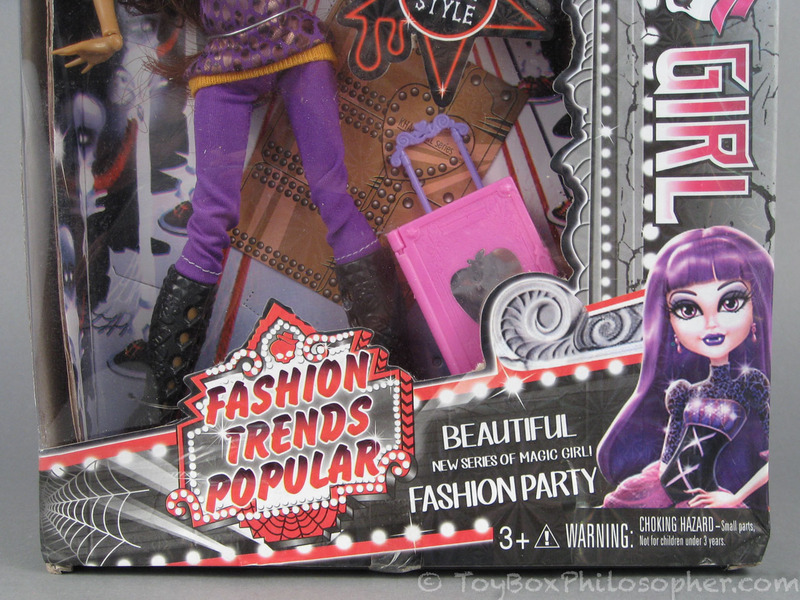 marquee...but with the words replaced by "Fashion Trends Popular:"
Another difference: this toy is marked for ages 3 and up, while the Monster High box says 6 and up. In the place of the doll's name and parentage, the Khaki Girl box just says "Beautiful new series of magic girl! Fashion party." This is so random, it got me wondering if there's some kind of automatic phrase generator that's used for fake Monster High doll advertising. Like doll box Mad Libs or something. I got this: Meet the Trendy Girls! They're fashionable, magic dolls with their own joyous sense of style. Enter their party world to unlock your miracle imagination and begin a stylish series of fun adventures! You've never seen anything as popular as this! Once again, a lot of the graphics are the same, but the words have been changed. 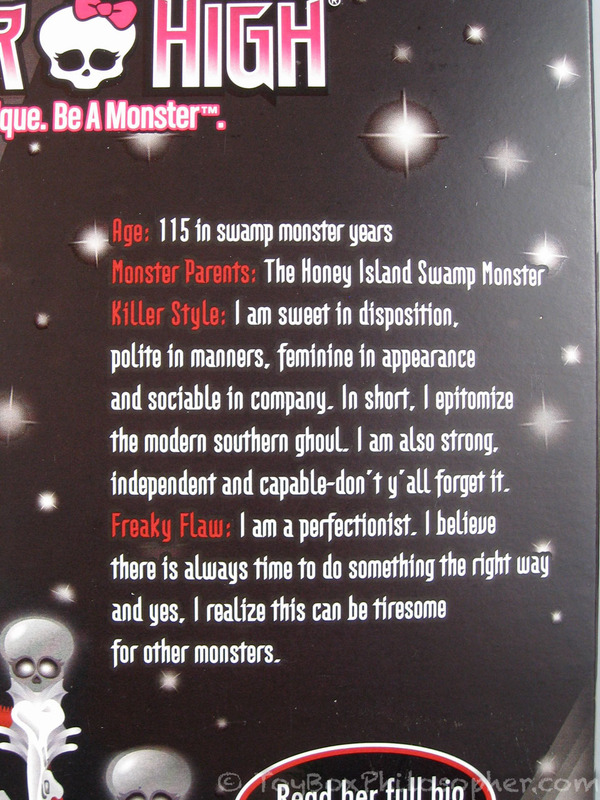 For example, the Monster High box has the slogan, "Be Yourself. Be Unique. Be a Monster" at the top. The Khaki Girl box could have gone with something like, "Copy Someone Else. Be Repetitive. Be a Monster," but instead they went with: "New series of magic girl! Give children more surprise!" I'll tell you right now that there are certainly a lot of surprises with this doll, but few of them are good. I think Mattel should copy this. I think they were using a random phrase generator again here. It would be cool if the red words held some kind of secret message, but "Monster girl, joy to experience a miracle, come on, Shining Star, took me home!" sounds more like a bad come-on line than anything else I can decipher. Most of those flecks brushed off, but there is a real scuff on the nose. 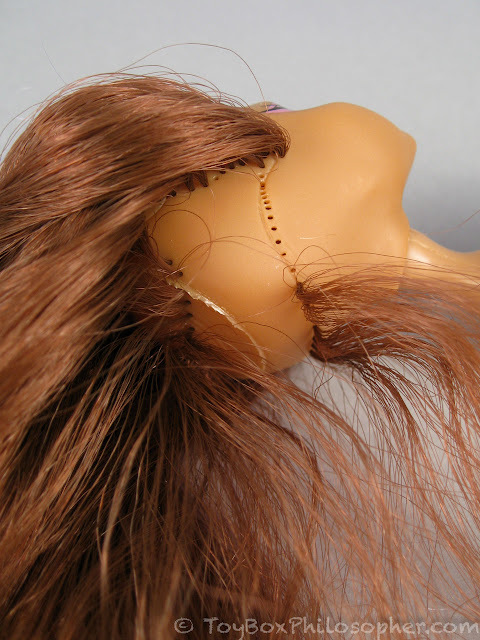 This doll also has a noticeable and unpleasant chemical smell that did not lessen throughout the review. 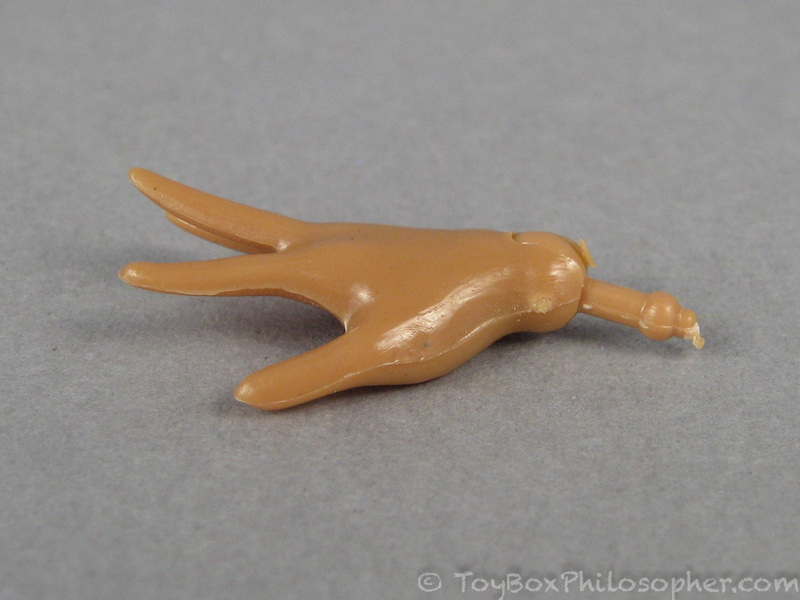 It makes me wonder what types of cheap plastic were used in the manufacturing. 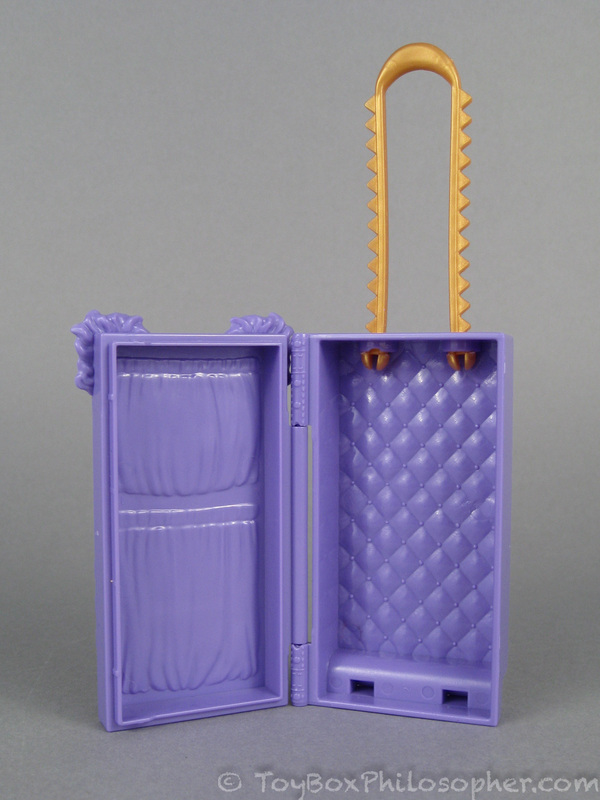 Deena comes with a brush and a suitcase. 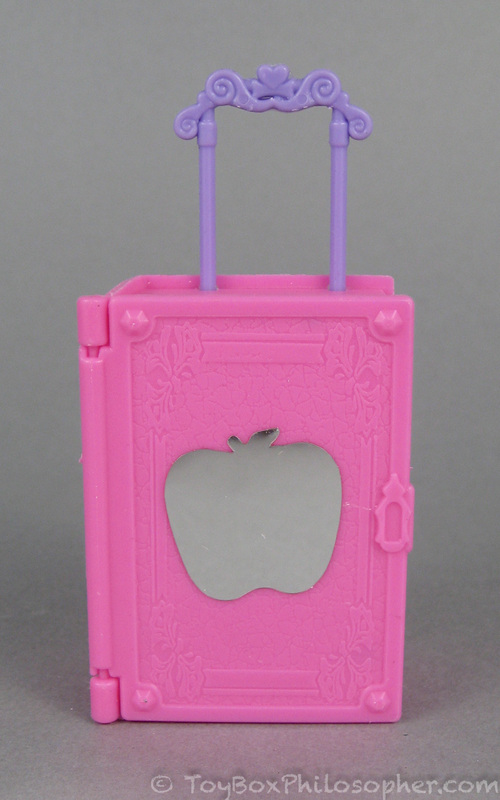 The deluxe dolls in the Monster High Scaris line all come with suitcases. So now we have three Monster High lines represented with this knockoff: Frights, Camera, Action!, the second wave, and Scaris. Deena was attached to the backdrop with several wire ties. Her accessories were attached with plastic ties. It was pretty easy to get her out, although the plastic ties in the suitcase were very tight. Deena's suitcase is small and made out of hard pink plastic. It has a mirrored apple on the front, because why stop at ripping off only Mattel's logos? 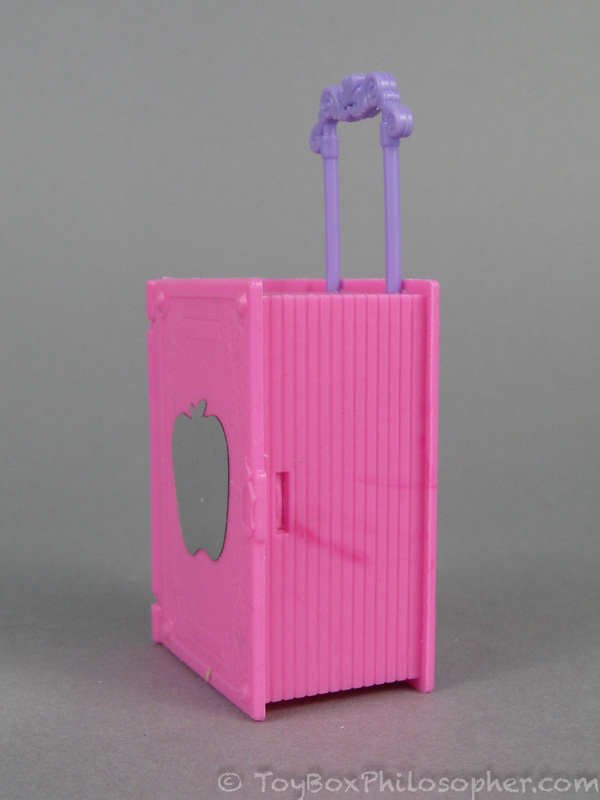 Clawdeen's suitcase is much bigger, with a tall handle. 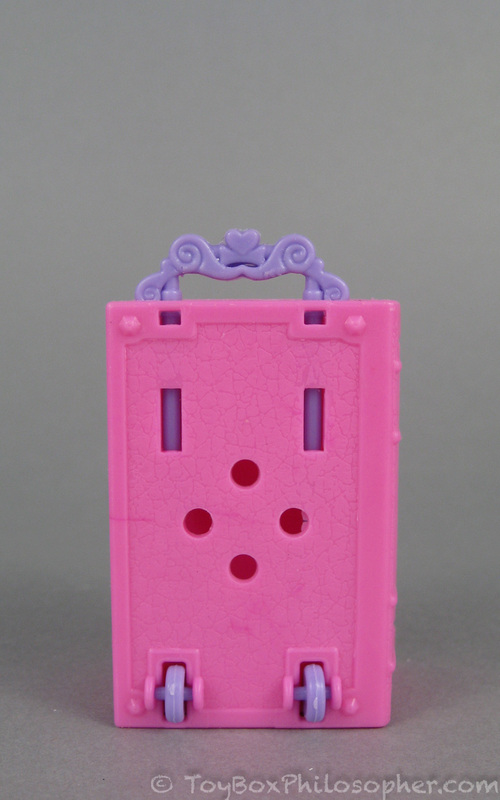 It also has a lot of elaborate molded decorations. I really like the Scaris suitcases because they're completely different for each character. 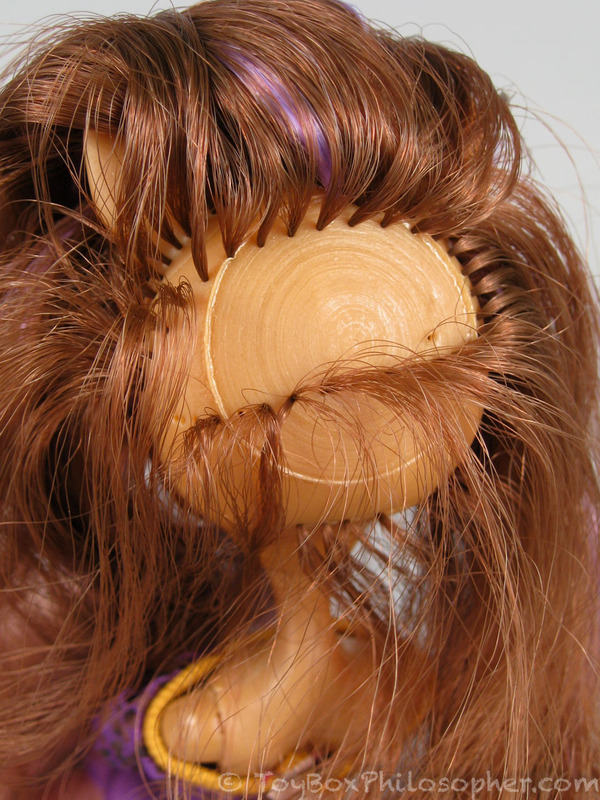 You can still see where the tips of the "Monster High" lettering would have been, though. I had a hard time getting Deena to stand up on her own. Her joints are pretty loose and her shoes are also very thin and crooked. 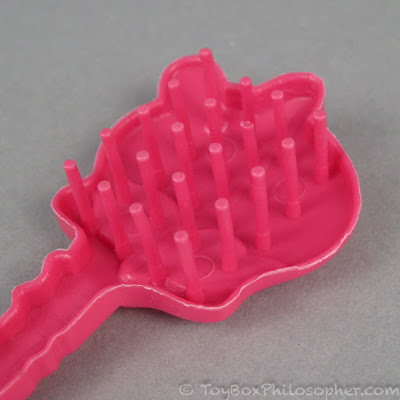 The brush was 100% clean when I started. Promise. I'm going to name him Croissant. 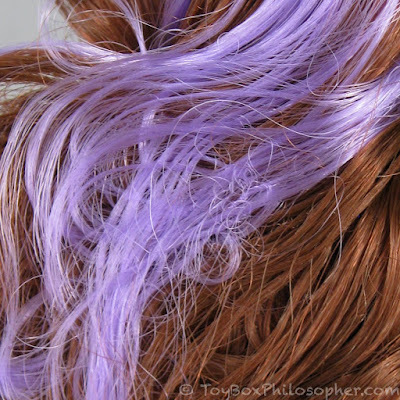 The texture isn't terrible, in fact the purple strands feel nice. 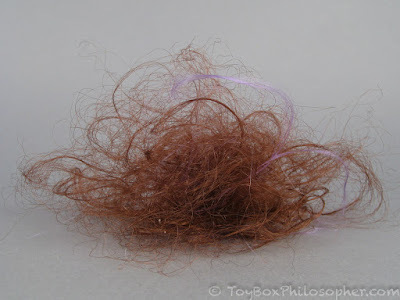 The brown hair fibers are soft at the top, but very coarse at the ends. 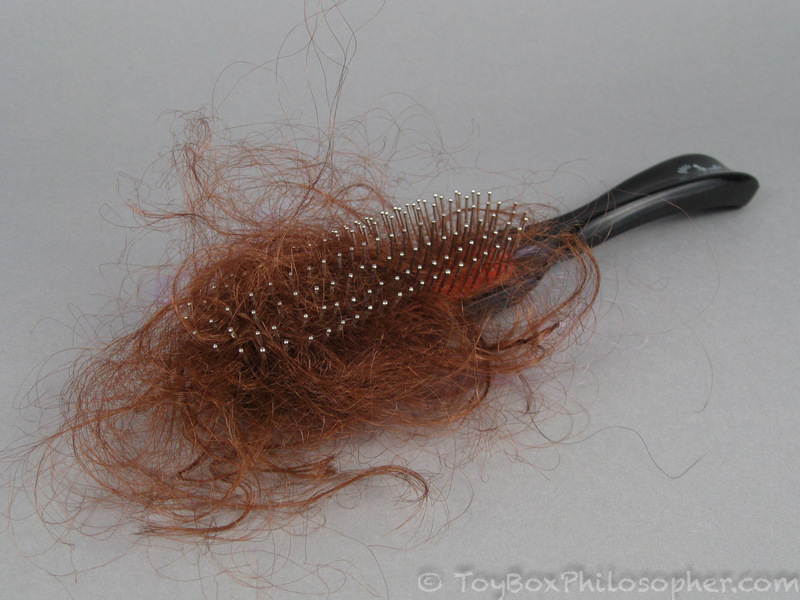 The rooting is also haphazard, so it's difficult to get the hair to fall in an orderly or fashionable way. And it still doesn't look very good. 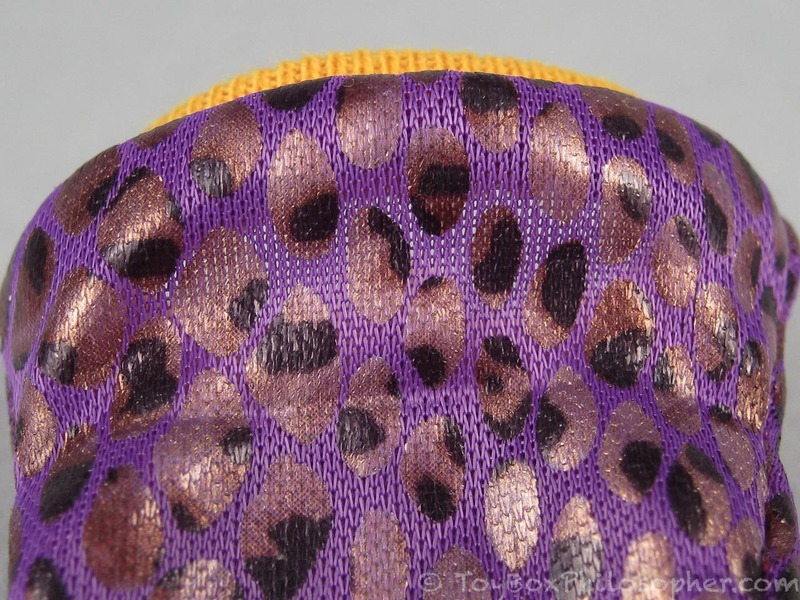 The head is made out of soft vinyl (no hard glue inside...) and it has a shiny appearance overall. 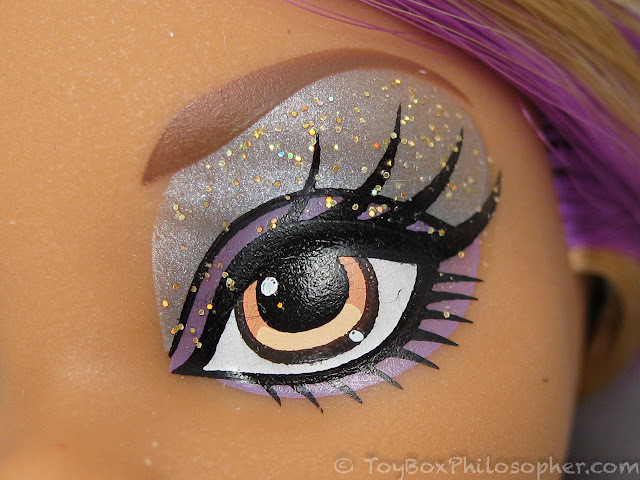 I think there's supposed to be glitter around the eyes--like eyeshadow--but there are only three or four single pieces of glitter above each eye. Those fangs are actually better-painted than some real Monster High doll teeth, though. The entire area around Deena's eye is really shiny. I think the eyes and eyebrows must all be part of the same large decal. The back looks a little better with the velcro straightened out, but there's still a pretty big gap at the bottom of this seam. Before (left) and after (right). 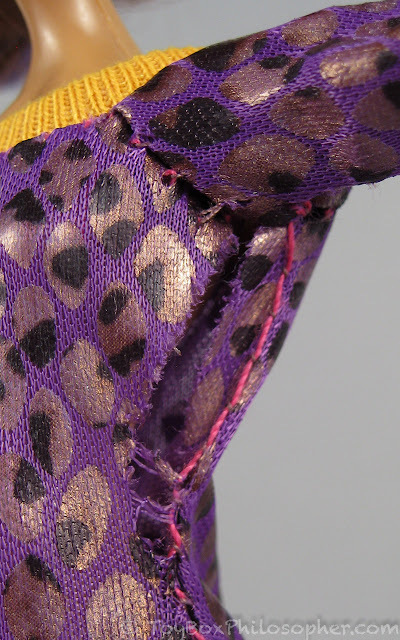 The entire shirt is stitched together with pink thread, and this is visible along most of the seams. Aside from the ripped seam, the construction of this shirt is decent. 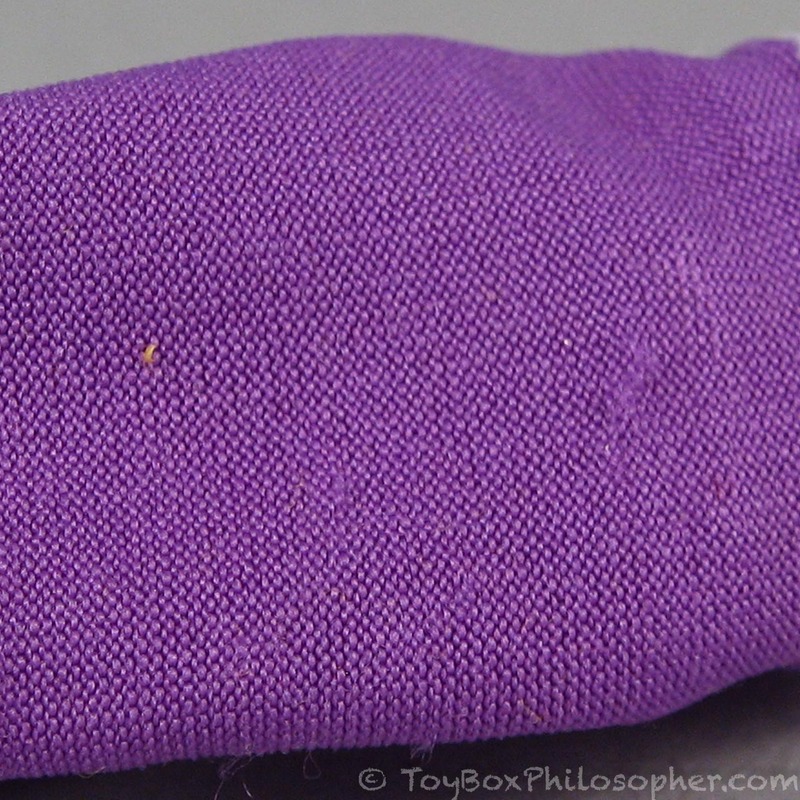 The pink thread is such an odd choice, though. The bottoms of these boots are uneven, so they can only stand on their own then they're leaning against each other. 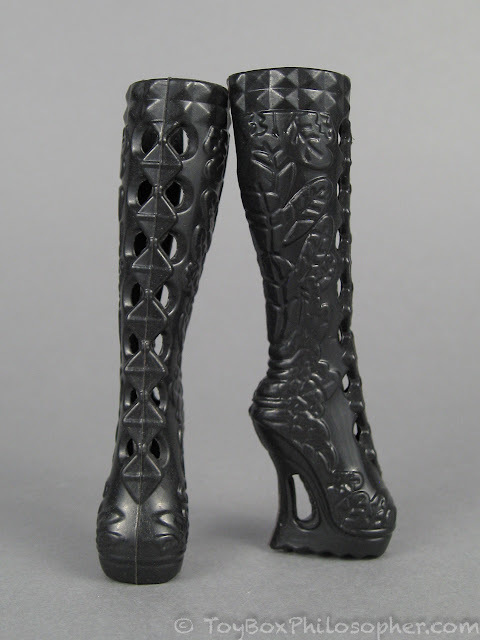 The boots have a molded leaf pattern, but the underwhelming look is an insult to the legendary Monster High footwear. 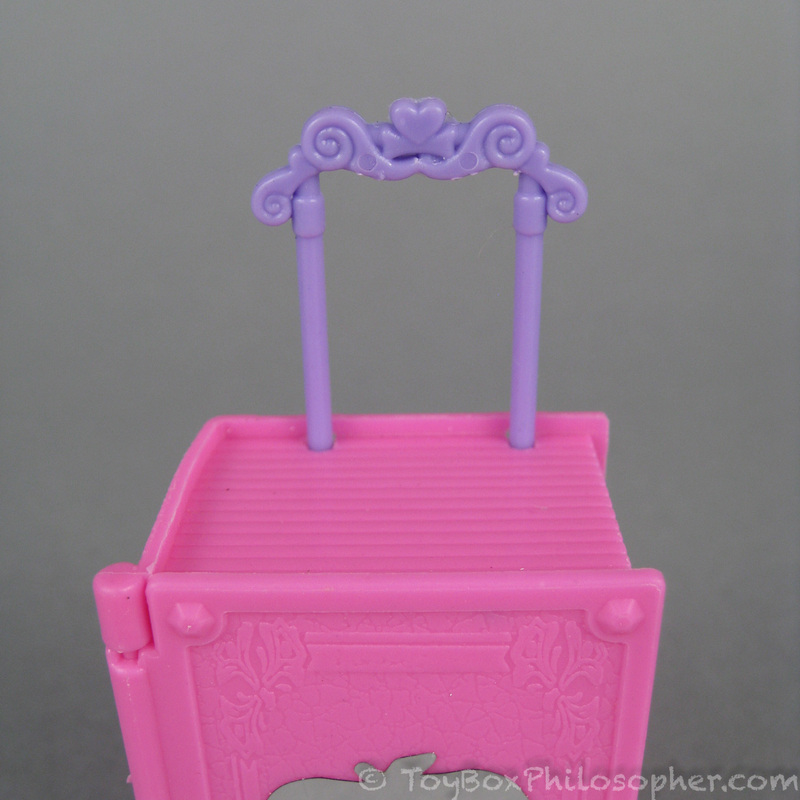 Update: Presto recognized these as Ever After High boots--from Legacy Day Raven Queen. Sheesh. 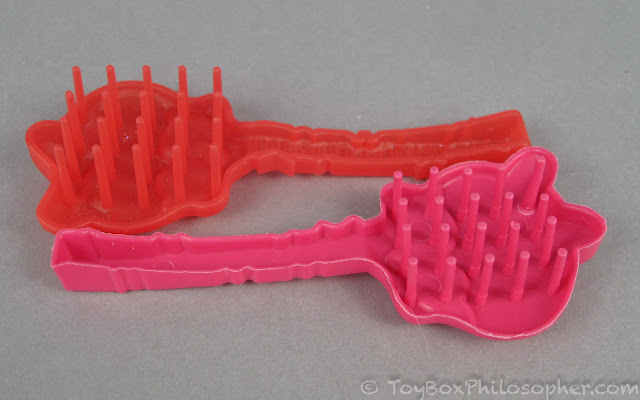 Now that I've been told, I can definitely see that they're the same mold. Thank you, Presto! 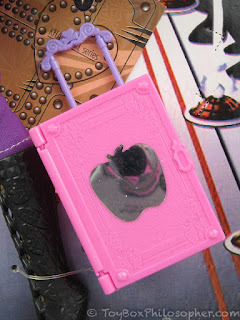 The cheap plastic and bad molding make these boots an insult even to the slightly-less-legendary Ever After High shoes. The pants are made out of a knit fabric and stitched together with white thread. Knitted textiles have two sides--the knit side and the purl side. On these pants, one of the legs has the knit side facing out, the other leg has the purl side facing out. That's pretty sloppy. 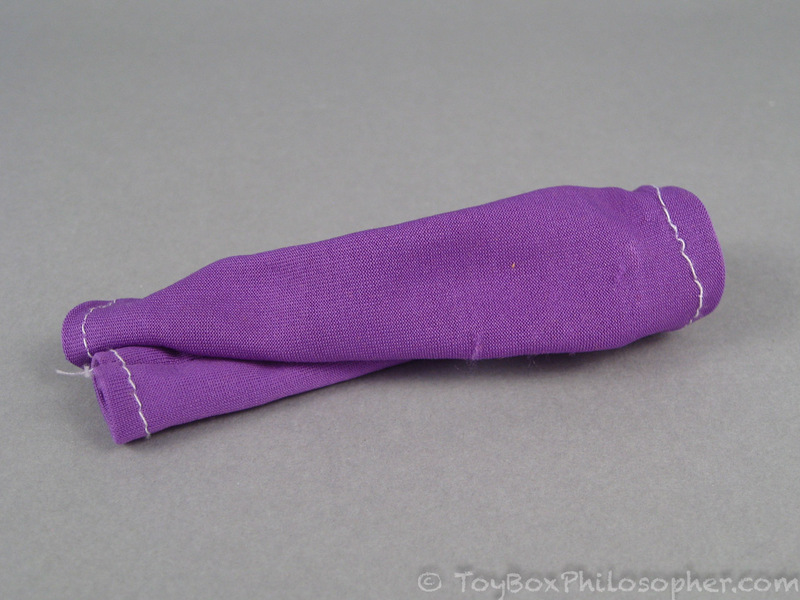 There are a couple of snags in the fabric, too. Deena's lower legs and full arms are made out of much softer vinyl than what's on a Monster High doll, though. This gives the body a very different feel. 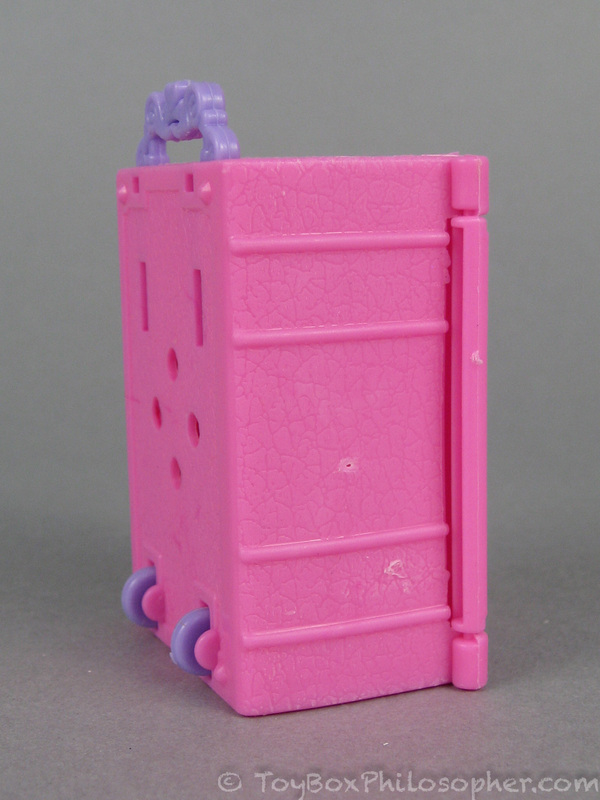 And there are fragments of plastic and vinyl at most of Deena's joints, but these don't interfere with movement. 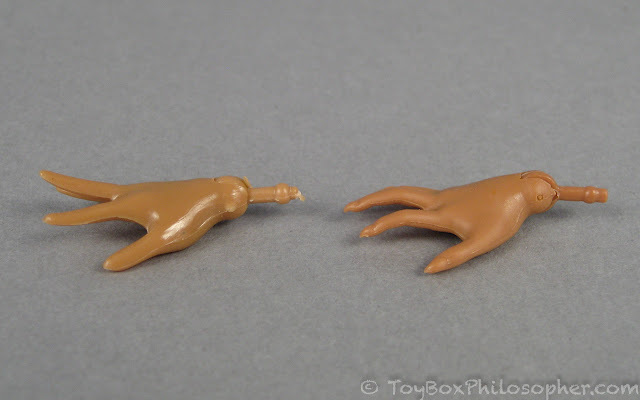 Khaki Girl hand, Clawdeen hand. The hands come off easily and feel like they will stay in place without any problem. Khaki Girl hand (left), 13 Wishes Clawdeen hand (right). 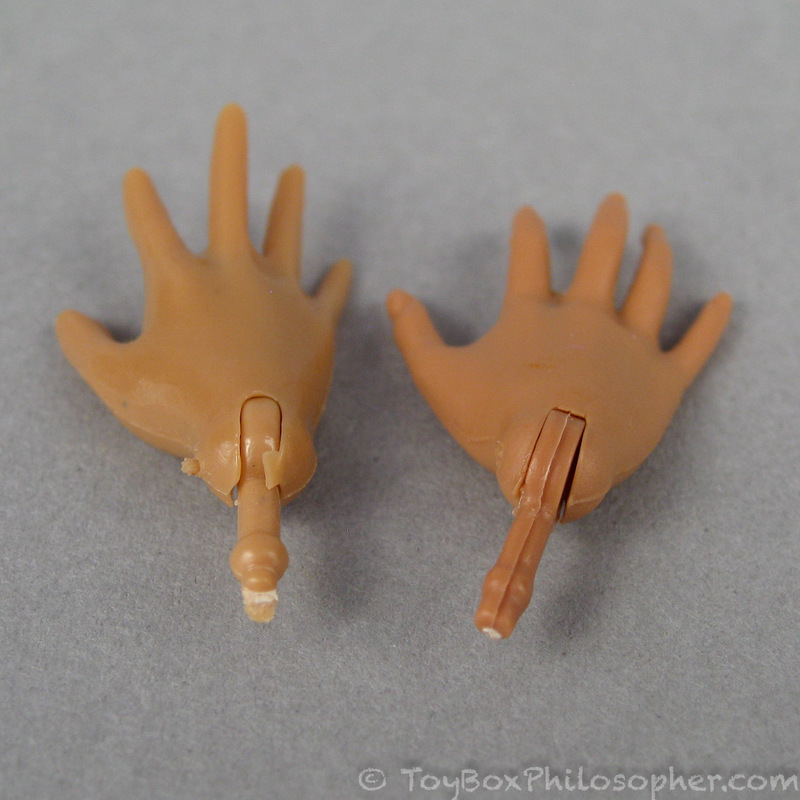 Khaki Girl hand (left), first wave Clawdeen hand (right). 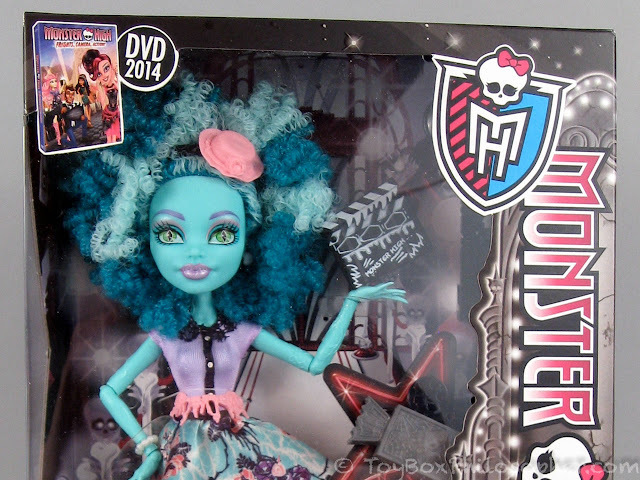 Notice how the edges of the hand are rough on the Khaki Girl, but nicely smoothed on the Monster High hand. 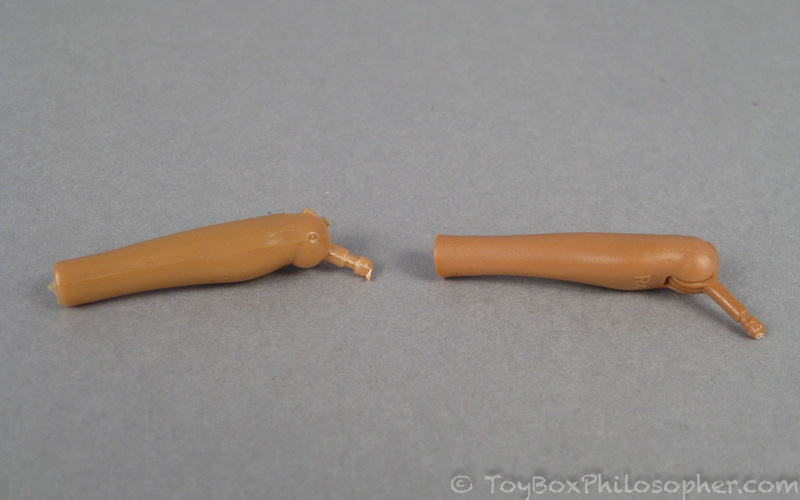 Khaki Girl arm (left), 13 Wishes Clawdeen arm (right). 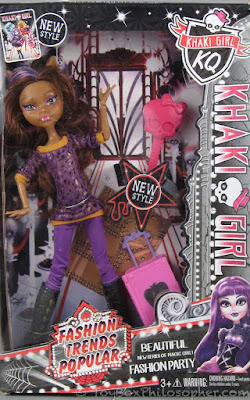 Overall, Deena poses like a Monster High doll. The biggest difference is that her flexible vinyl limbs are shiny and have less stability. 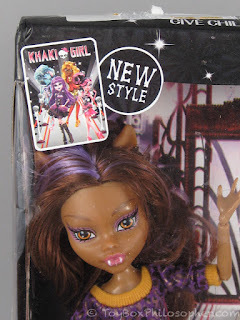 Khaki Girl, Monster High Clawdeen. 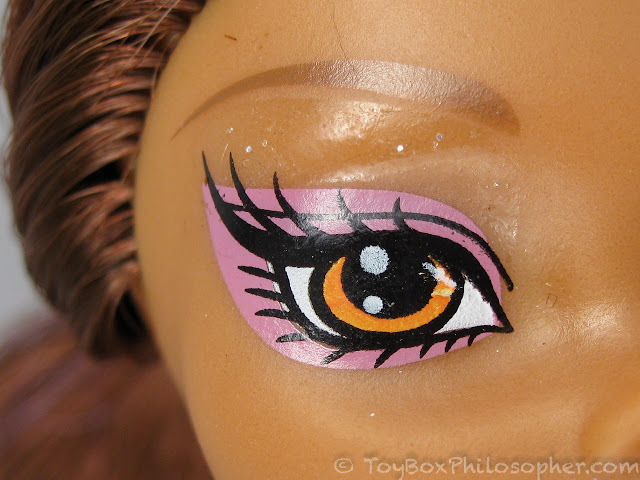 Deena's body has a noticeably different color: she's paler with a yellowish cast while Clawdeen has a richer orange-brown skin tone. Also, Deena's head color doesn't match the rest of her body very well. 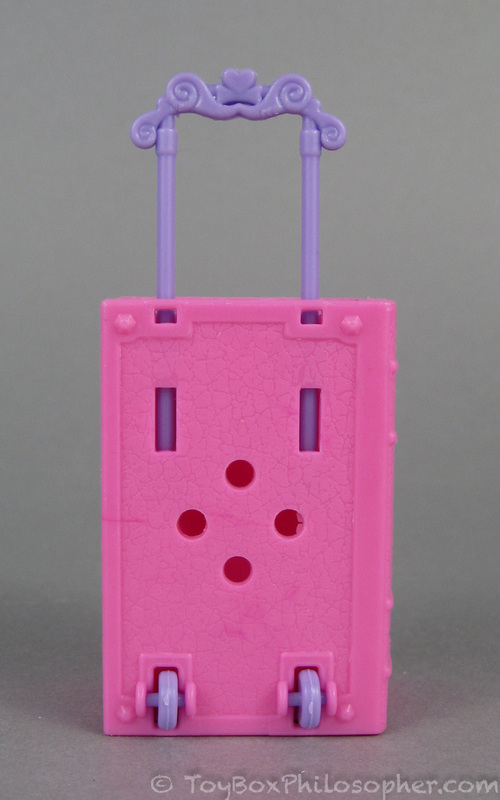 Deena can stand up better in Clawdeen's shoes than she can in her own boots, but she still isn't an easy doll to balance. Looking at Deena on her own, I suppose it would be possible (maybe even easy?) to mistake her for a Monster High doll. 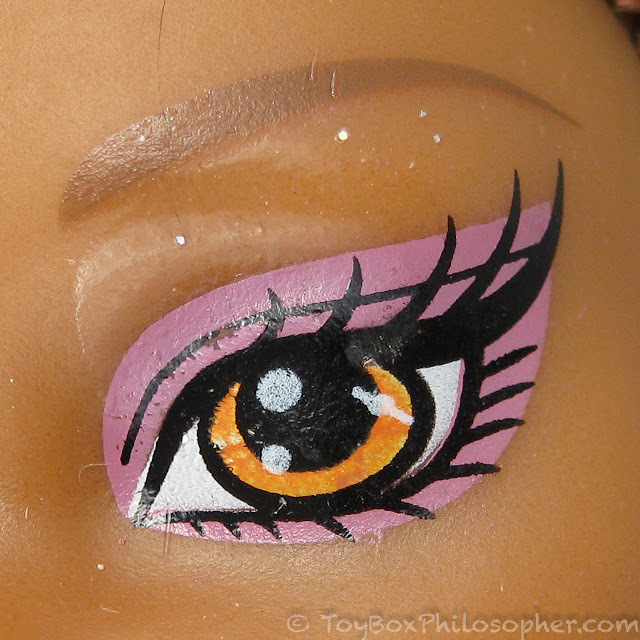 But when she's side-by-side with an actual Clawdeen, the differences are strikingly obvious. Let me show you a few examples. 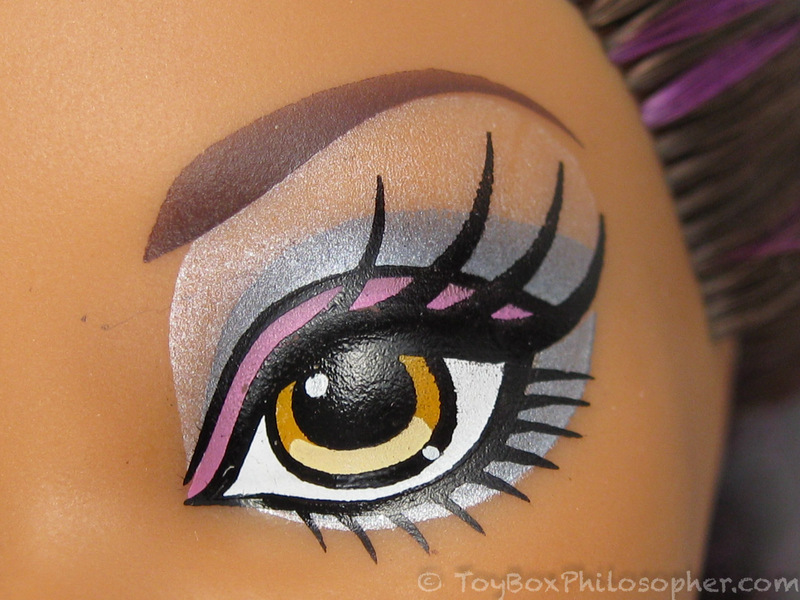 There's so much more character in Clawdeen's face. She also has a nice matte finish on her head, and dark, vibrant eye paint. There's just no contest here. 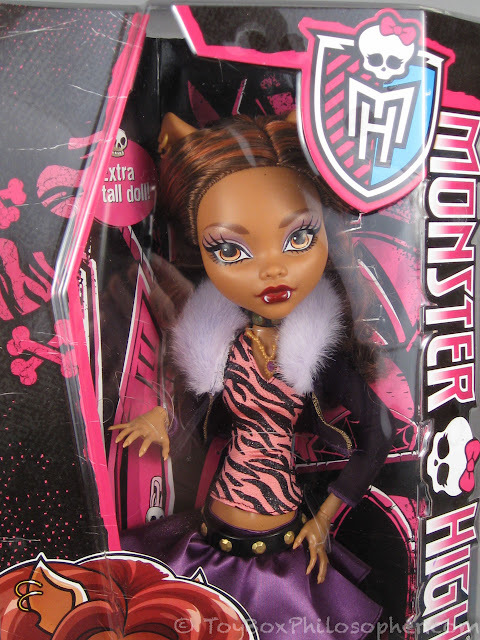 The original Clawdeen has a masterful mix of cute, elegant and fierce while Deena is just...meh. I love her Eiffel Tower earring! 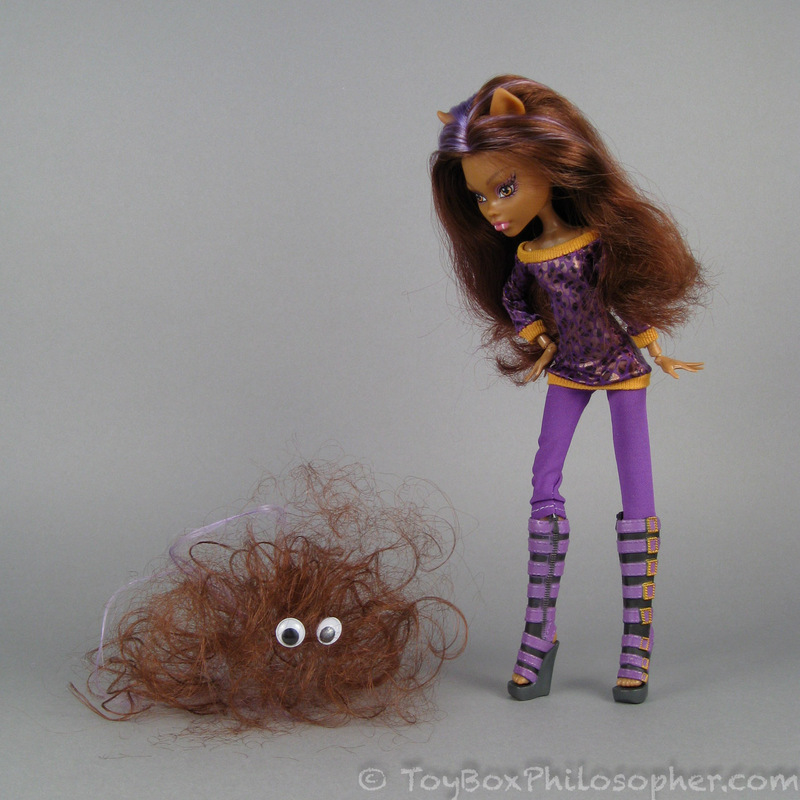 Scaris Clawdeen offers a good comparison to Deena overall because the two dolls come with similar accessories. 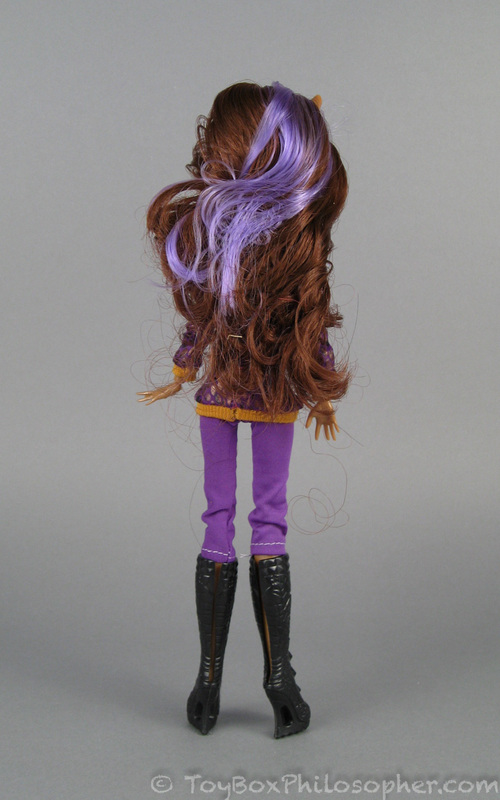 Clawdeen's biggest flaw is her hair. It looks pretty, but the ends are really coarse and they make the hair puffy and hard to control. The thing is, I could pretty easily fix this (at least temporarily) by trimming the ends and giving the hair a boil wash. The shoes are also not as good as many other Monster High shoes, and they don't help Clawdeen balance very well. In contrast, Deena comes with a too-short suitcase and a brush (no stand) and she does not have any jewelry. She cost $13.49 (including shipping). So the price difference between these two dolls is $4.50. I got this: Meet the Stinky Girls! 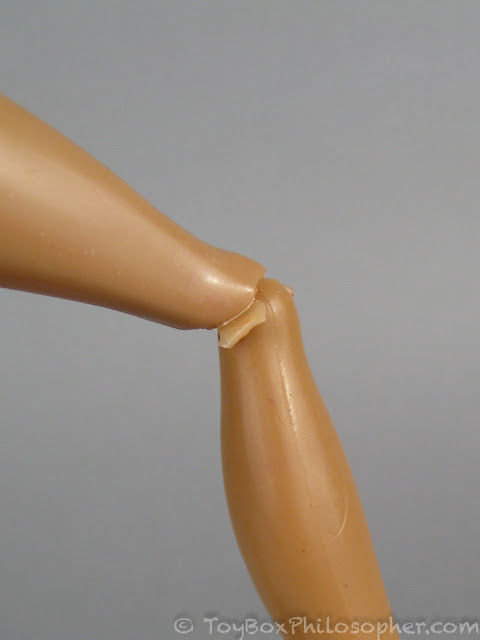 They're the peeling, bald dolls with their own ripped sense of style. Enter their backwards world to unlock your cheap imagination and begin a copied series of hairball adventures! You've never seen anything as sloppy as this! But I could only really get her to stand in this one position, and she wasn't inspiring me. She's a scraggly, ill-made doll that wastes the excellent body design of the Monster High line. ...and yet somehow even the hairball pet is shedding his own little bits of broken hair all over the place. I have no idea how. What's happening to my hair??? 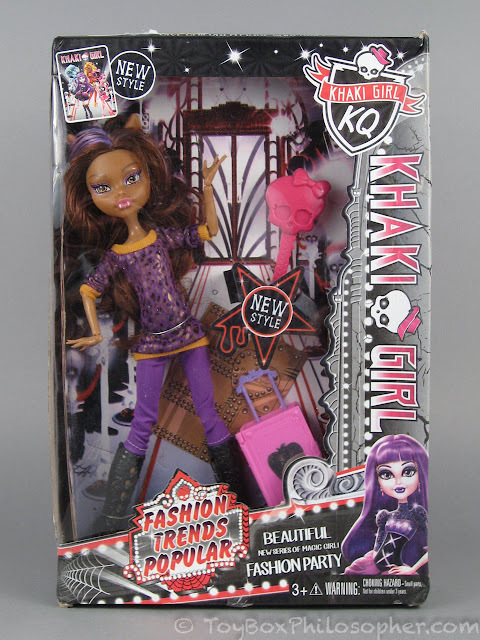 I see absolutely no reason to buy one of these knockoff Khaki Girl dolls--at least not here in the United States where the prices of legitimate Monster High dolls are comparable. How is it even legal for these dolls to be made? I mean, what is the point of a copyright if this kind of blatant copy isn't a violation? 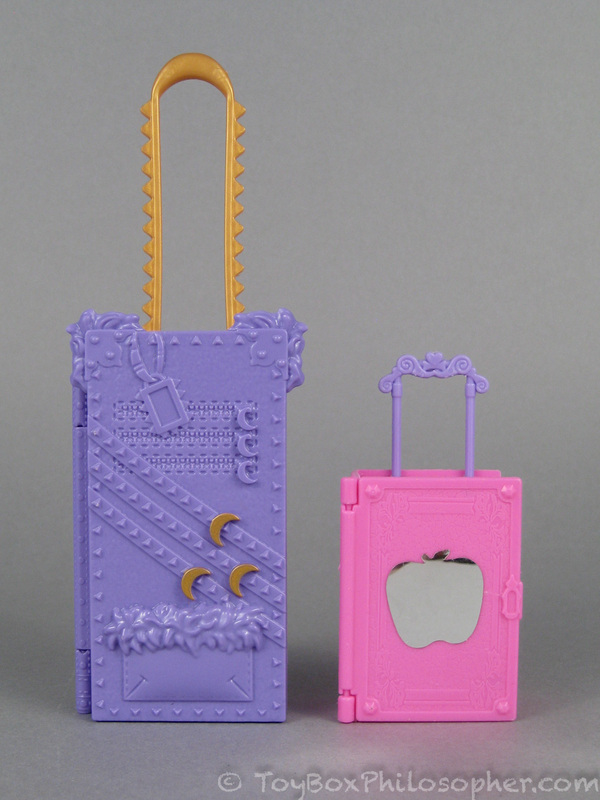 Frightfully Tall Clawdeen and Mega Bloks Clawdeen. 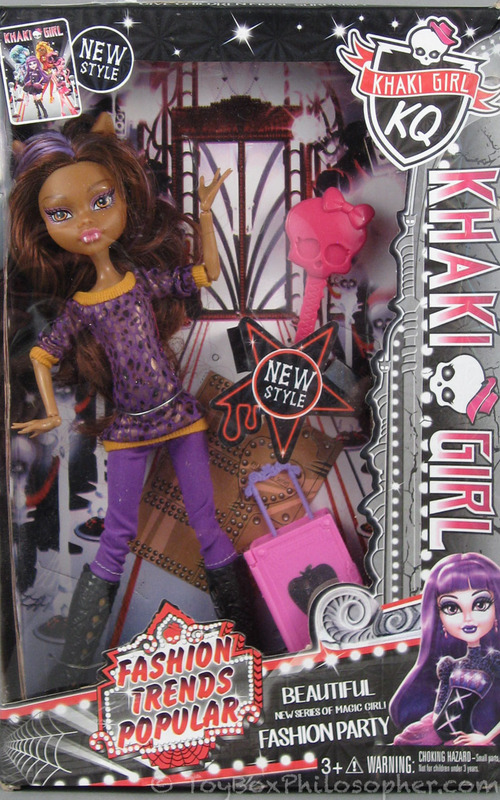 I also like the new Mega Bloks Monster High characters. These little figures are a great way to get a quick Monster High fix for under $5. 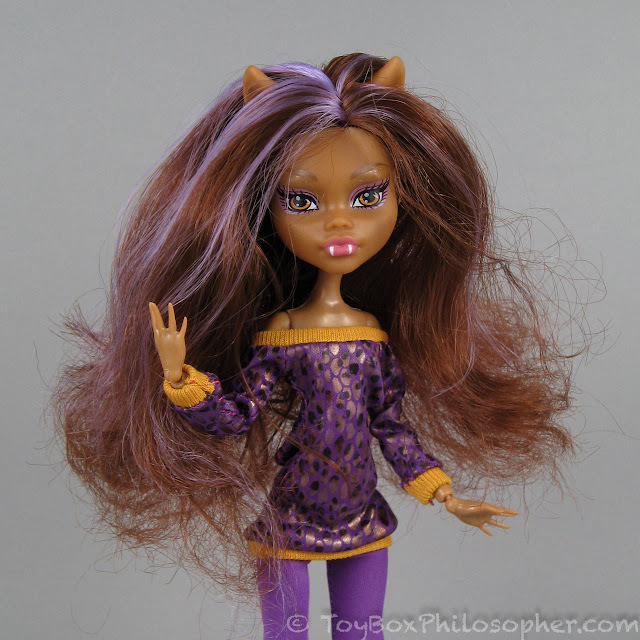 So, instead of ending this review with lots of pictures of Deena, I'll end with more picture of Scaris Clawdeen, who I think is a very nice doll...especially when she's being directly compared to Deena. Bottom line? 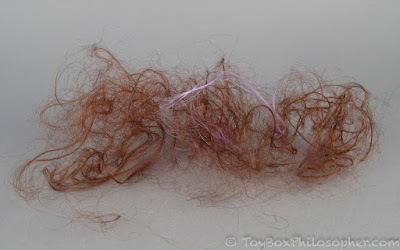 Because of her suspicious smell and shedding hair, my Deena will go straight into the garbage after this review. I don't think I've ever thrown a doll away before (even the doll I microwaved is still around...). There's not much else to say here. I've had my fair share of complaints recently with Monster High, that's for sure, and I'm certainly not a die-hard cheerleader for Mattel. However, Khaki Girls Deena has given me a new perspective. 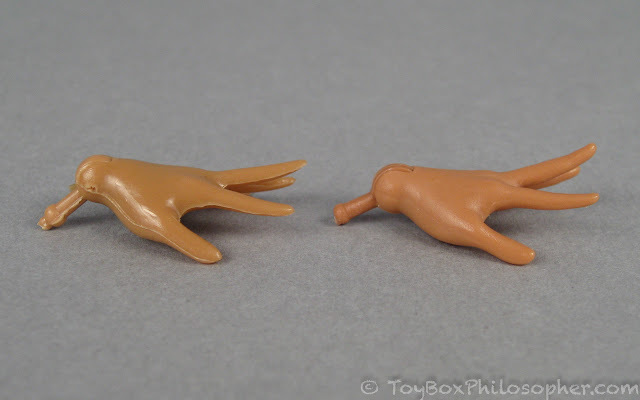 Seeing so many things done badly gives me a fresh appreciation for the things that Mattel does really well. I fear that this reaction is the symptom of a more general problem: things that are done well tend to go unnoticed while problems (however minor) are immediately criticized. For me, that's definitely food for thought. A week ago I might have looked at Scaris Clawdeen and seen only her frizzy hair, glue-filled head and underwhelming shoes. 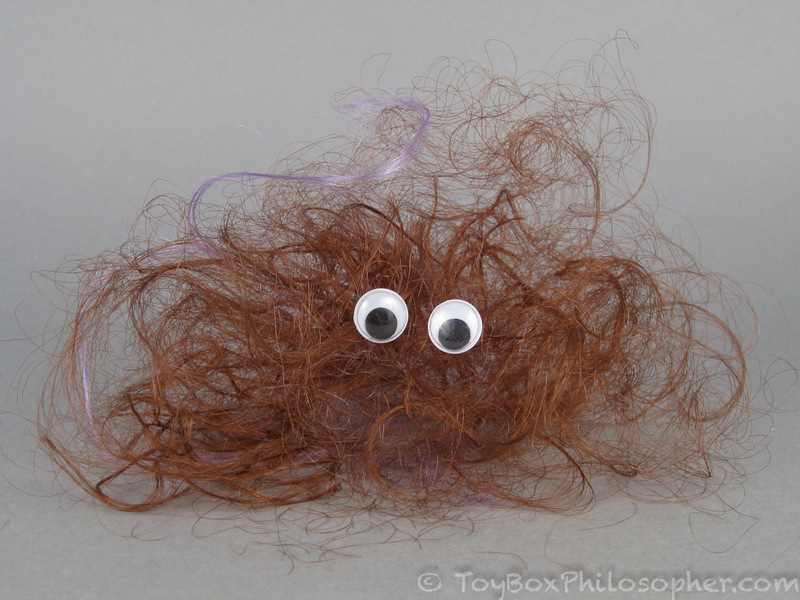 Today I see a well-constructed, highly-articulated doll who is carefully painted, full of character, and has hair that doesn't fall out. I appreciate her multi-piece outfit and all of the themed accessories that were designed and made just for her. 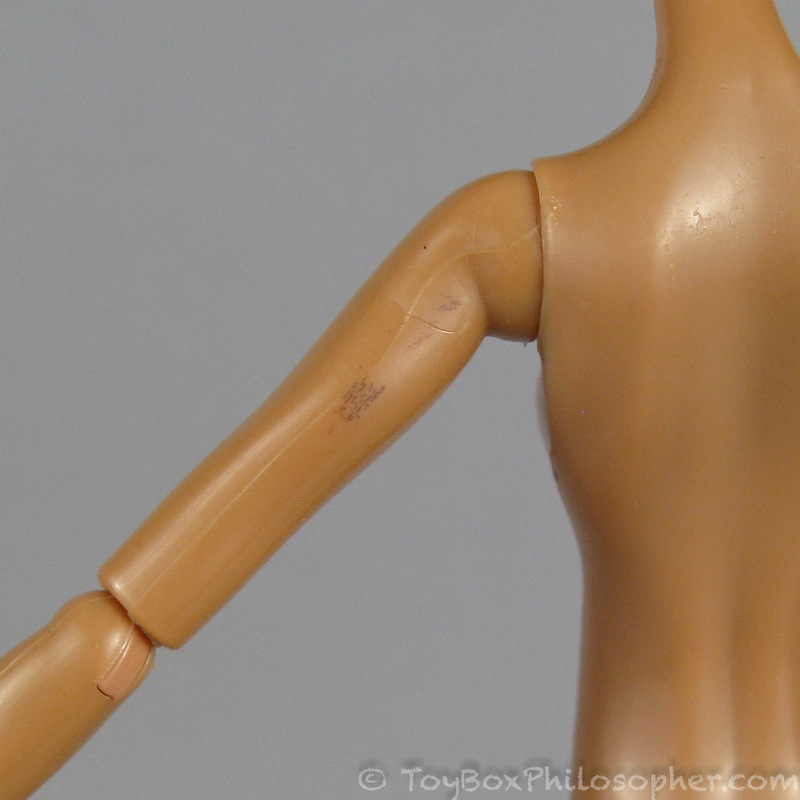 I even appreciate the way all of the seams on her body have been carefully smoothed. 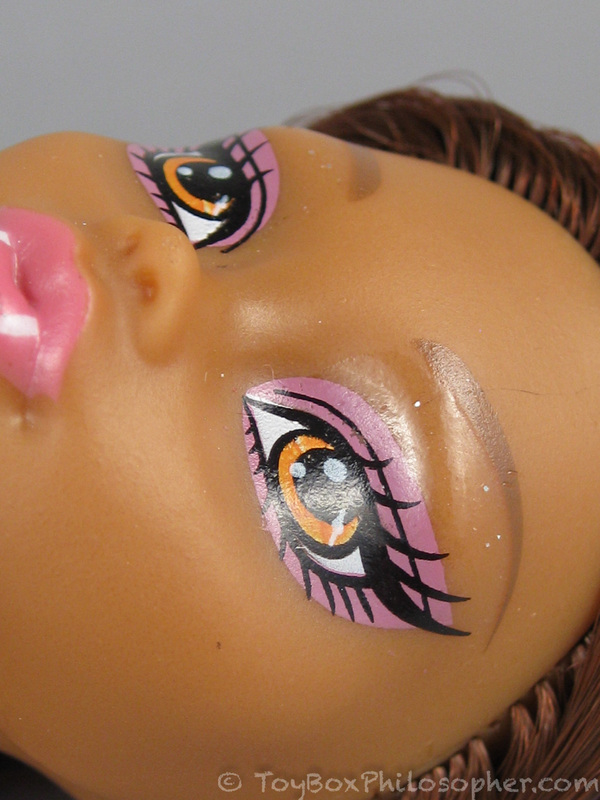 It's a bit like going back in time and experiencing the uncritical wonder of seeing my very first Monster High doll. For that feeling alone, I suppose I got my money's worth out of dreadful Deena. Oh man, fakies are always fun! I can see what you mean though, we don't appreciate how good we have it until we get something worse, do we? 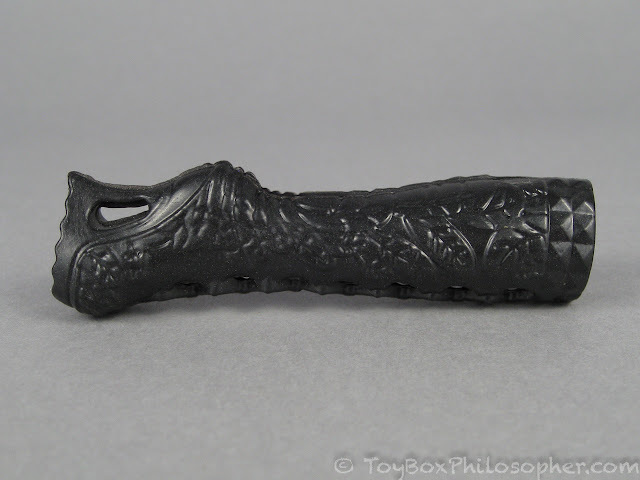 "The boots have a molded leaf pattern, but the overall design is an insult to the legendary Monster High footwear." I had to chuckle a bit at this, since Deena's shoes appear to be (slightly modified) recasts of Ever After High Raven Queen's Legacy Day boots. I wonder just how similar they are, other than the thin plastic and the fact that Deena's have a closed toe? Ha!! You're so right, Presto! :D Good eye. I should have assumed that the boots (and the suitcase, as it turns out) were also ripped off from somewhere. Thank you for pointing this out! It's like a "spot the copy" treasure hunt...or the opposite of treasure hunt. ;) I still think they're insulting to the epic reputation of MH shoes. They're practically useless. I don't own Isi Dawndancer yet, but I'll use her as an example of a superior doll...Soft, shiny, uniquely-colored hair, cute face and ears, nice face paint, new foot mold, neat accessories and a brightly-colored, multi-piece outfit. Like I said, I don't have her yet but I know she'll be one of my absolute favorites. Tuesday Morning sells MH dolls for about $8. Same with EAH. I've got about a dozen ready to give as gifts that I got there. So there's even less reason to get a possibly-dangerous knock-off. The chemical smell concerns me. 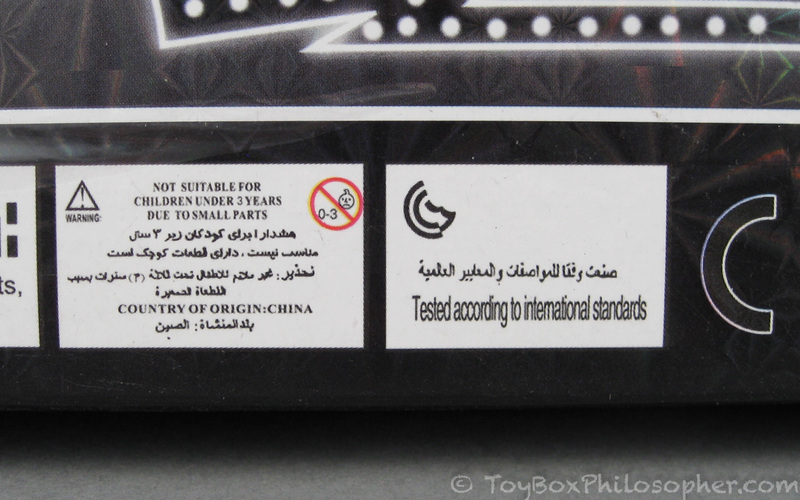 So many unregulated toys in China have high levels of dangerous things in them. You're both looking at it from a US perspective. Try tripling the prices on MH while the price of fakies is the same, if not lower. Welcome to Europe! Emily, I found another knock-off that's worth mentioning for two reasons. First, there's NO WAY the real EAH dolls would be sold though a Chinese shop like AliExpress, even though AE is using the official promo pics. There's nothing to indicate they've ever even had even one Cerise doll in their possession. Second, the price is $55.87!! 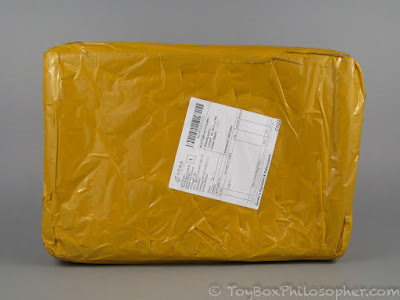 Why is everyone hating on aliexpress? It's just a selling platform, like ebay, and btw it has better purchase protection. The site detects scammers quicker than I, and they never get a cent. It is possible to find original dolls, some cheaper that are snatched from the factory, and some for >40$ a piece because such are the prices outside USA and the sellers are legit distributors who follow the established price. Great review. This doll is a complete mess. Any child would be very disappointed with this doll but Croissant is cute. 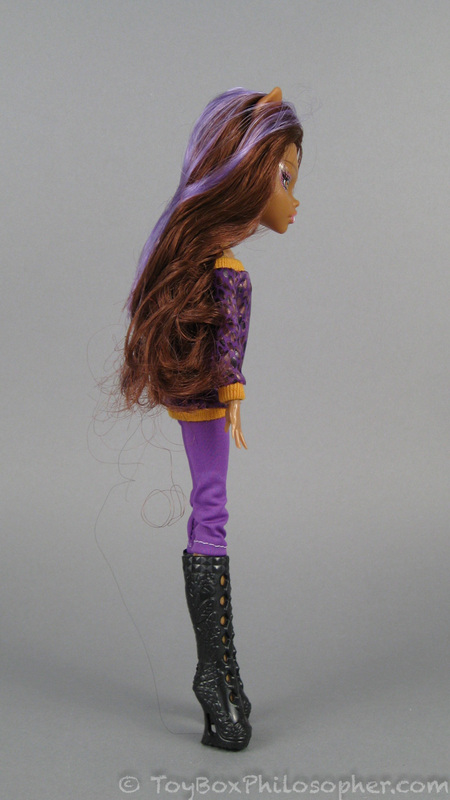 I got the tall Clawdeen. She's awesome and the price can't be beat. Thank you, Robotica! 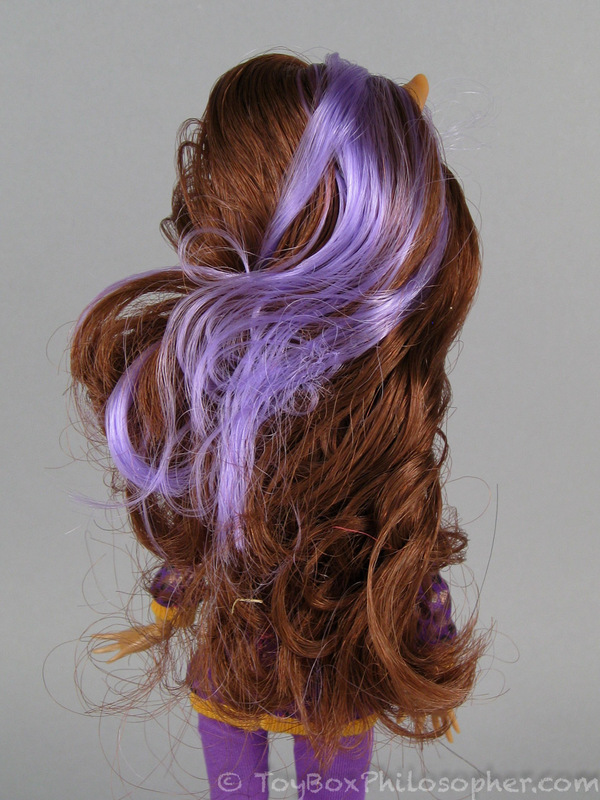 I couldn't resist that giant Clawdeen either, and I was very (pleasantly) surprised by her price! I figured these huge dolls would be $30-$40. 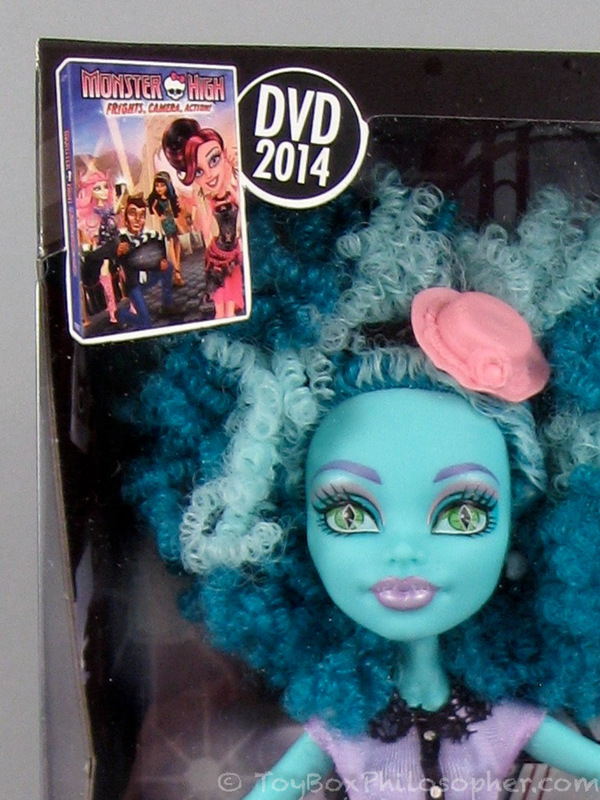 I'm so glad they're within the same price range as other Monster High dolls. 'Kaki' in Malay means 'legs' and in Hokkien it means 'mine' and in Singaporean slang it somehow became 'pal' but I doubt those were the inspirations for Khaki girl since she is 100% Chinese. The closest actual words I can think of in Mandarin are 'ka fei' - which means coffee, or 'hua qi' which is bloom or flowering, which I guess could be vaguely related to dolls. I think the more likely reasoning is that they just opened a dictionary and chose a fashion-related word, unless it's some mainland Chinese slang I'm not up to snuff with. I like Scaris Clawdeen a lot too. She's still my favourite Clawdeen bar none. It's so sad how her ripoff tries to copy everything about her and gets it so wrong. Oh you should have kept Deena's hands, at least. 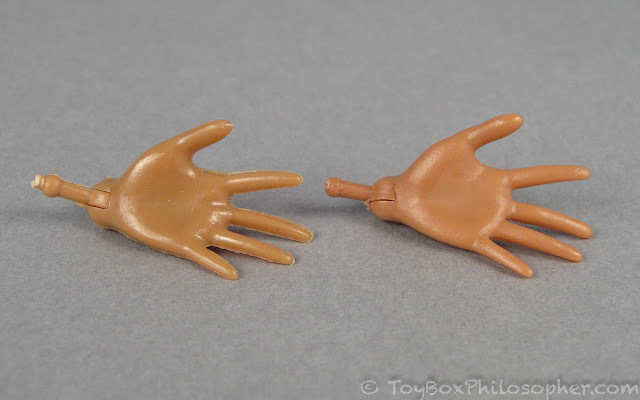 They might be good replacements if you have missing MH hands. That's a good point, Jamie--and not too late. Maybe the hands are small enough that the smell won't be an issue? Thank you! It's sad really because back in the 60s and 70s etc there were a lot of knockoffs and while some were REALLY rubbish, others weren't half bad. Not as good as the originals sure, but not bad. I have a couple of clones from the 70s, I think an 80s one and one 90s one and the body quality is fairly decent. No hollow body, no awful smell, the hair is thin and pretty crap but face paint and body are AOK. Sad that modern clones just aren't up to snuff, though some are HILARIOUS. The Engrish I think just.. makes them heh. Those inexplicable lost in translation sentences full of random words plucked from goodness knows where. Loving your knockoff slogan generator. That's the other thing. 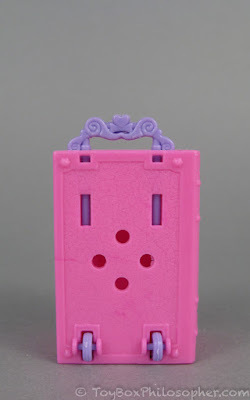 Not only are the new knockoffs almost universally NOT worth the small price difference, they've gotten a lot bolder about copying packaging (and not just stealing doll molds--I still see knockoffs of My Little Pony at Tuesday Morning and CVS). The "Khaki Girls" are not sold in the mainland US, because it's blatantly obvious that they're ripping off even the logo and packaging of Monster High--to the point that US copyright law prevents them from being sold here. 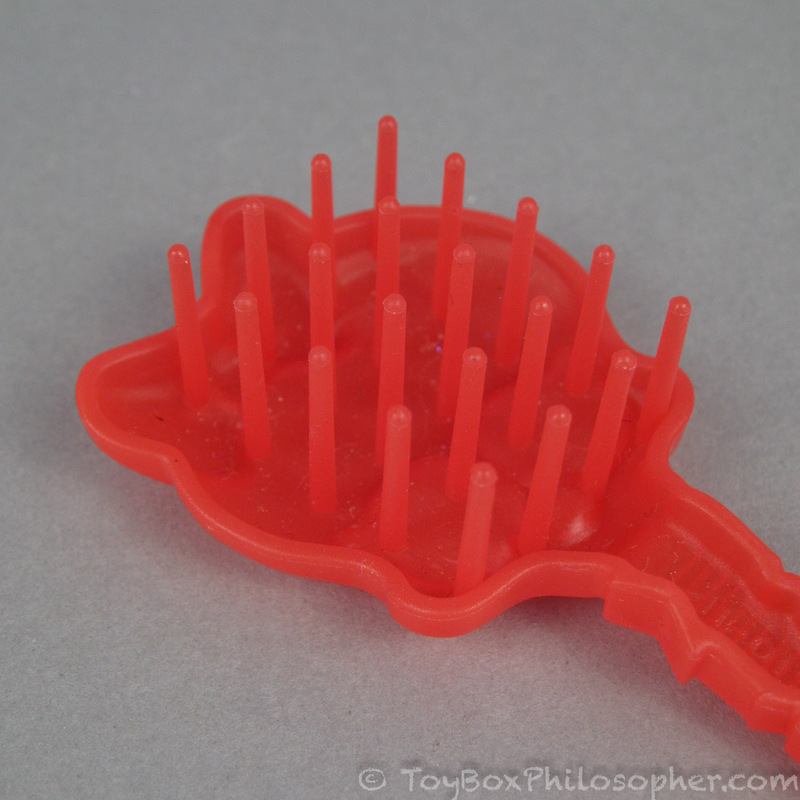 A "Pony Friends" toy at least has original packaging that isn't ripped off of Hasbro's. Knockoffs THIS blatant nowadays don't tend to make it into the US or European market, but I've heard people in Mexico and the Middle East (and some parts of Europe where copyright is a bit more lax) can sometimes have more trouble finding the original MH dolls than the shoddy copies! 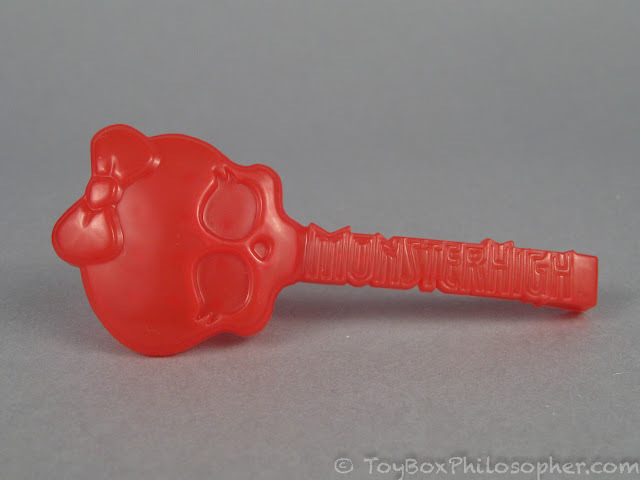 RE: toy knockoff's of the past. I remember in the 1980's when Cabbage Patch Kids were so popular that they warranted news items of mothers scrambling to get them when stores were opened - at least here in Canada. It was extremely difficult to get them, especially before there was the Internet as it is today. They were pricey in general and there were bootlegs being sold in many stores. The quality, from what I remember as a child, were that they were very well done but the big difference was that the girls' hair were pink or green, for example. The older kids could spot them because of that but the younger ones didn't know (or didn't care). Even Sailor Moon bootlegs from the 1990's were often so much better than this, and some are quite expensive to try and acquire now. I hope these never acrue in value. The Engrish is fun. 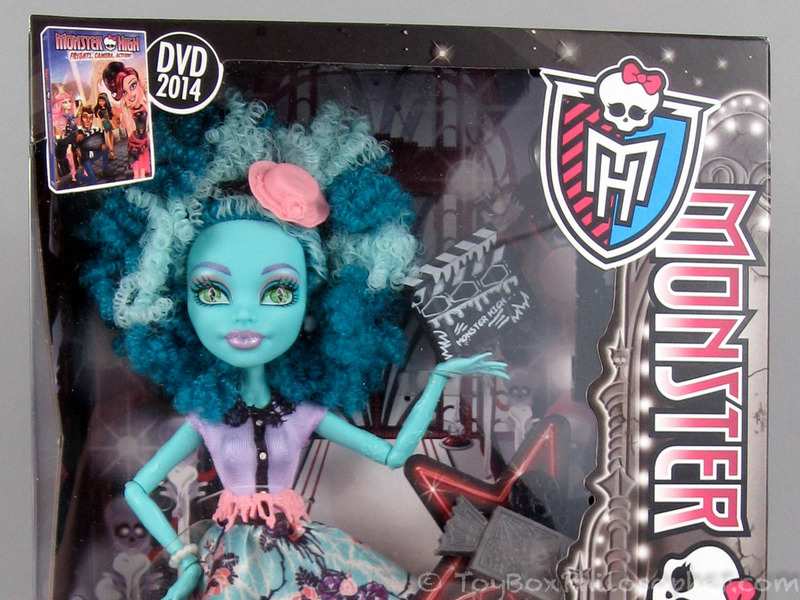 Yay, finally a new Monster High - Review! I have to say that I find "Deena" actually pretty good......compared to the knock-off-dolls that I have seen. 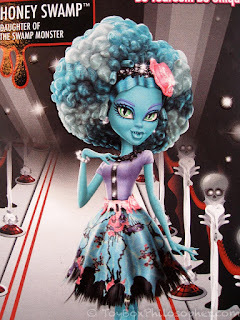 I have some Fake - Monster High Dolls too, but these don't have any accessories, some have even less hair than Deena (That picture of her hairless head-parts was so familiar to me! :D) and they can only move their head, arms and legs. And yes, you're absolutely right about the "random-knockoff-slogan-generater"-Thing. My dolls had nearly the same random phrases on their boxes. :D I really loved this review because it was all so..."familiar" to me. Can't wait for the next one! :) PS: Could you maybe do a review about Monster High Elle Eedee? Because she seems to a very interesting new body mold. Interesting!!! Deena really is a lackluster disappointment, isn't she? But it is always nice to be reminded how good the things are that we have. :) Croissant is adorable. 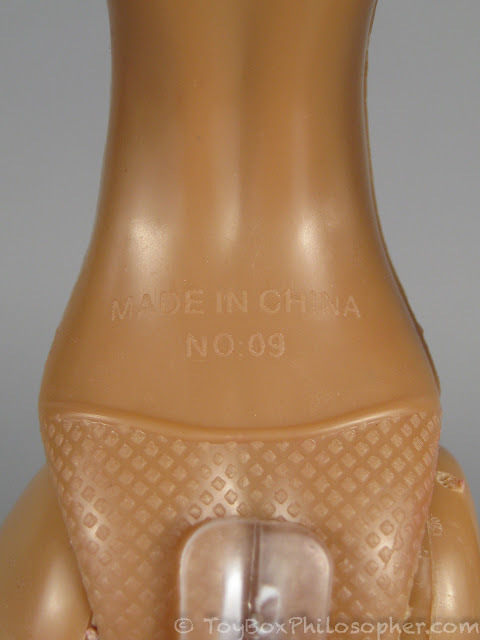 I think Mattel should make a little plastic-y version of him for one of their dolls to keep as a pet! ;) Although he might wind up looking a bit like the poo emoji in a plastic form... Hm. Have you heard about the superhero dolls that Mattel is planning to release soon (January I think?)? I get the feeling that you might like Poison Ivy, since she has bright red hair. ;) I personally like the look of Bumblebee, but I'll have to see them in person first. The way cheap knockoffs like this keep a steady market is (well due to other reasons too) through parents/relatives who simply don't care. Basically their kid/grand-kid/niece/nephew/etc wants a thing for Christmas, relative doesn't know or care much about that thing, so relative browses through toys and sees this thing which is has the same font/packaging/style/whatever as what the kid wants, and they buy it. 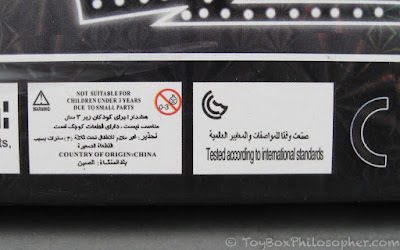 Yup, no comparing quality or checking to see if the toy is genuine. They just buy it because it's "close enough" You'd be surprised by how many parents really don't know or care about the things their own kids love. Even better--getting a cheap knockoff of a toy you didn't even want because Girl = Loves ALL Dolls. Even the kinds you've told lots of grownups you don't want or like. I may be just a bit bitter. The sad thing is that this knock-off is better than some. I work at the 99p Store in the UK - I guess the equivalent to the US dollar store, basic household items, cheap toys, random international biscuits and chocolate - and we've stocked knock-off Barbie and Monster High. The Barbie dolls look alright but the Monster High ones are ridiculous. Lurid skin tones - bright green sticks in my memory - not multi-jointed (just the basic shoulder, hip and swivel head) and boring outfits. 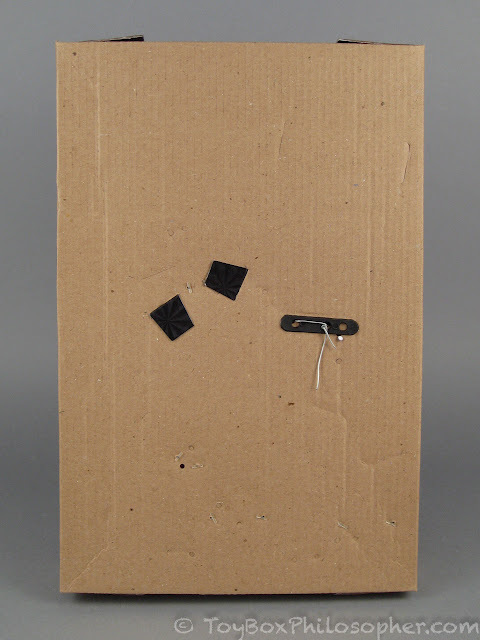 The boxes are also very basic and don't really attract your attention. We're sold out at the moment otherwise I'd share a photo. I'll have to keep my eye out. Croissant has made my day!!!! Those knock-off dolls don't look all that great at all. I've seen a few knock-off dolls on the internet and sometimes in local stores like; Toys.r.us, Walmart and sometimes Target. Though the real things are sometimes more expensive, They are way better and worth the money! Do you think you could do a review on Isi dawndancer? I'd like to get her but I need to know if she has any major flaws. Tell Croissant I said "Hi"! This doll is absolutely ridiculous!!! I was trying not to laugh at their terrible grammar haha. 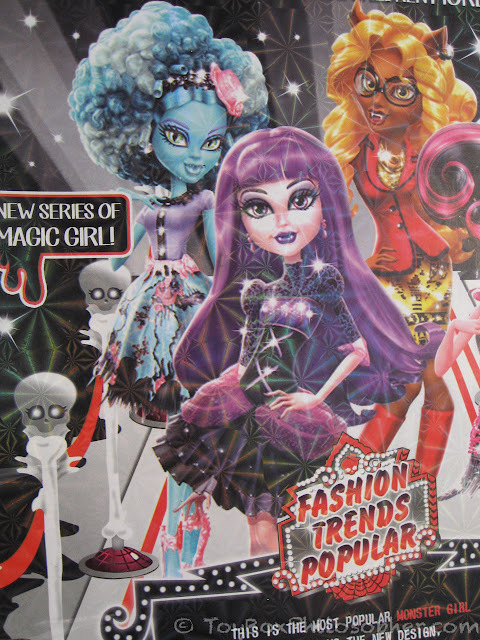 I just think it's so bizarre how they copied exactly off of Monster High and Ever after high! Guess what?! I searched Khaki girls on google images, and I found Ever After high knockoffs called Magic Khaki girls! And I also saw weird Khaki girls that were like a mix of pinkie cooper and ever after high! Ah. Were they the ones with the kitty catwalk heads? 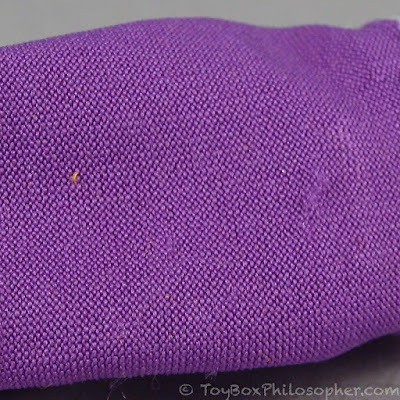 "Notice that this doll has completely purple hair--"
I'm not sure if I'm missing something or my internet is out, but was there supposed to be a picture above this line...? Wow, I've seen plenty of knock offs, but this one is probably the most blatant MH copy I've seen yet! Back in the '90s there was a chain of dollar stores in Ontario that carried blatant knock off action figures (later driven out of business by Dollarama), and this would be right at home with those - they looked like the real thing at first glance as well, but a look at the material and paint and you'd quickly realize they weren't quite what they were presented to be. Another great review. At first I thought these knock offs would be a great way to replace the now defunct original Create-A-Monster's but after reading the review there'd be no way I'd pick one of these up if I ever saw them in a Dollar store. Thank you most of all for describing the smell because that was the big detractor for me as with allergies and asthma that is a very serious issue for me. (It's another factor that should be taken into account with bootlegs on top of lead paint and that often bootleg toys are ones that have failed safety tests.) Did you report the seller/ the item? 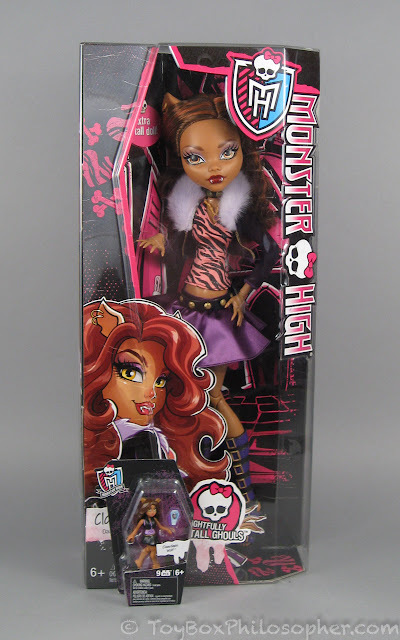 It's one thing to sell a "clone", and even listing it with "Monster High" in the title but the hair didn't match the picture, and the clothes were torn. 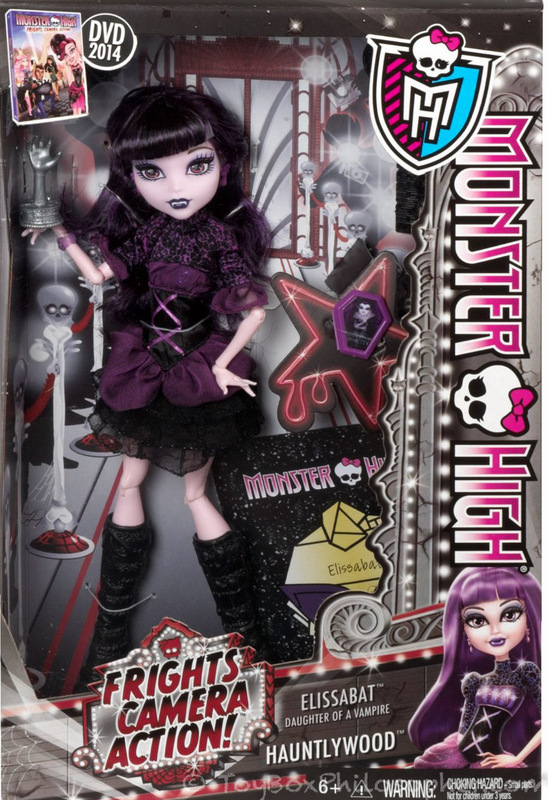 What's sad, overall, is that this looks "real" enough to be Monster High that someone who can't afford real Monster High might buy it, or the uneducated grandparent who knows their grandchild likes those monster dolls. What I find interesting is that Monster High is so popular that even the vaguest copies can be charged for a lot of money in stores and online, and that there are so many lines of them. By the way, Croissant is amazing! Also, as others have said, outside of smell, is probably the best Monster High fakie out there. I guess Walmart doesn't want to get sued because they don't resemble the body types/ looks but they have "affordable versions" of Monster High, only really "Clawdeen" is recognizable really due to the brown skin and the ears. Wow, I can't help it, but the only word that comes to mind looking at this doll is "gross" lol. Great review! 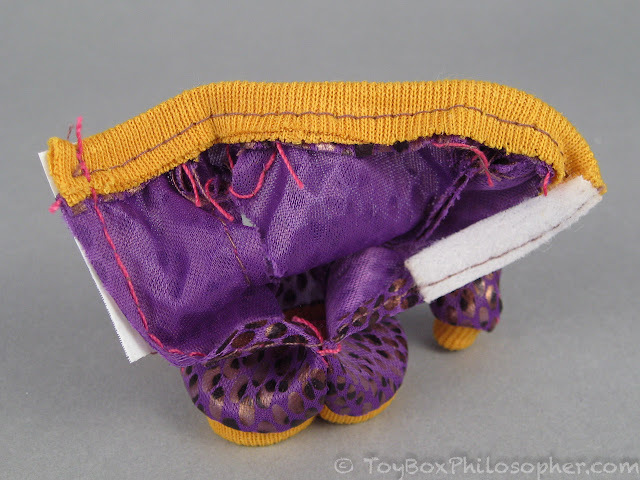 What is sad to me, is that there are so many creative people out there waiting for their chance to design a doll and make their dream come true, but the space is filled up by cheap ripped off larger companies trying to make a buck. On a positive note, if they are a less expensive version for someone outside the US than that is a plus. I'd be interested to see what the other characters look like. KHAKI GIRL! Lol, the names China comes up with for their knockoff stuff is the best part of all the knockoff stuff they make. The fake diary she came with? 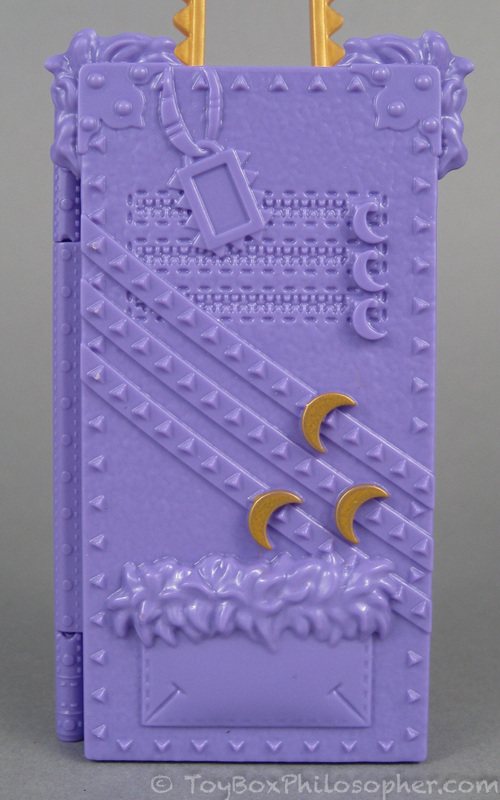 Yeah, that's the diary cover of Art Class Robecca steam. I know because I bought my mother the doll for Christmas*. 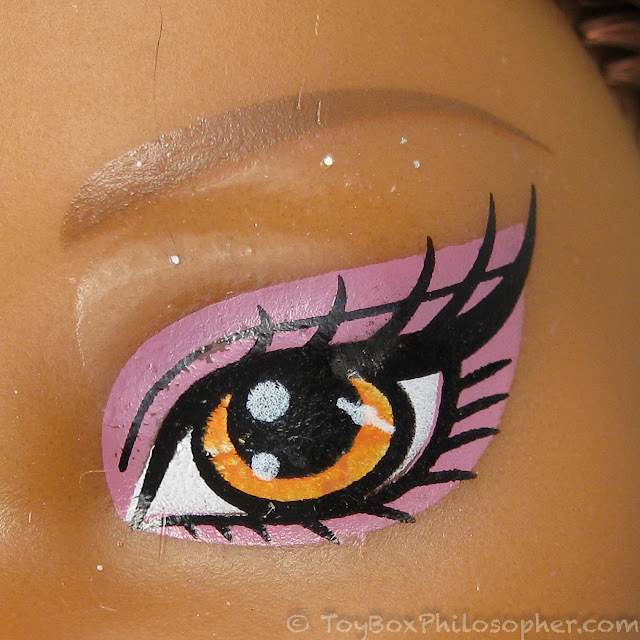 That doll may be a ripoff of Clawdeen, but she's more like a Frankie Knockoff. ... Get it? Since she's, like, composed of miscellaneous parts? Awesome review!! Thanks for sharing! This was an entertaining review. Wanted to look through these reviews while I wait for my first ever monster high doll to come in the mail (Isi Dawndancer). I hope you at least kept pet Croissant around so he can make a cameo in future reviews! The only thing I can imagine anyone buying these dolls here in the U.S. is to do a practice OOAK doll without damaging a perfectly good Monster High doll. But even then there are many on clearance for the same price as the knock off and you get so much more that even if you do mess up the OOAK it won't be a huge waste since some nail polish will clean it up. 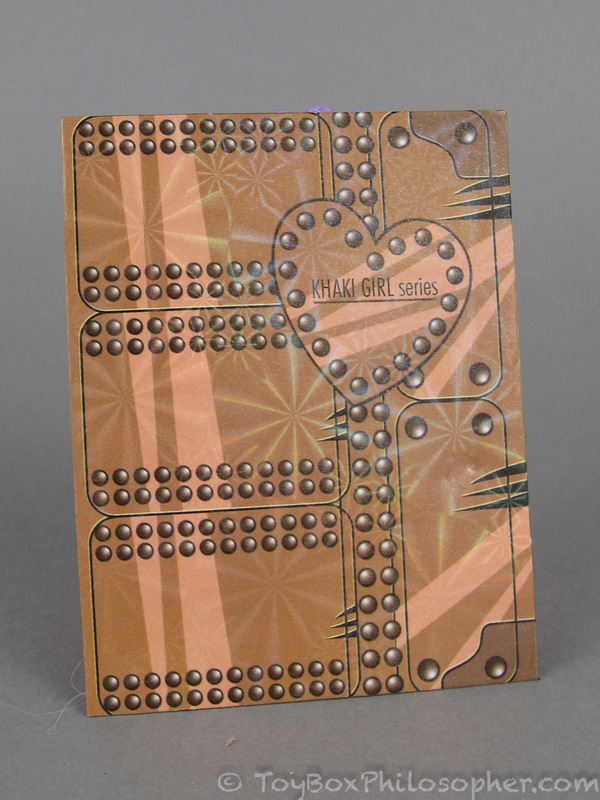 Here it is: the fake diary cardboard is a copy of Robecca Steam Artclass diary cover! You made me laugh, seriously, with the pet Croissant, especially when I realized you named it after Clawdeen's pet Crescent. I guess both Deena and Croissant went into the garbage, but the review was worth the purchasing. I forgot to mention that you can see the holographic effect on many Chinese fake products: collectible cards, play cards, toy boxes, and even light bulb boxes. Wowowowow. I've just started buying used (preloved) MH dolls (most without even clothes) from eBay to repaint the faces, and I'm pretty sure the condition of that doll is actually worse than one that's been played with over and over by kids. here's what i got: Meet the Trendy Girls! they're the magic, fun dolls with their own stylish sense of style! enter their fasionable world with your new imagination and unlock a popular series of fun adventures! You've never seen anything as miracle as this! I feel like for the pants they just sew a zillion of the one side and then just flip one inside out to make the other side. Too funny!